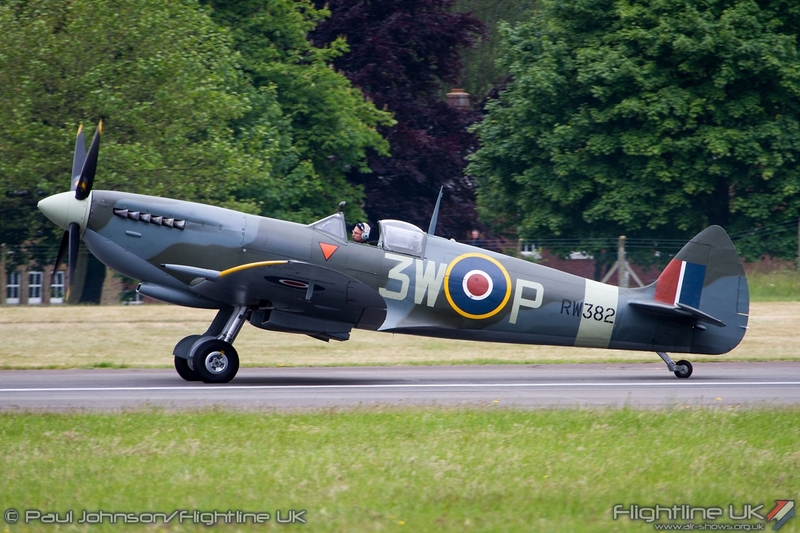 In a year celebrating the 75th Anniversary of the Battle of Britain, there is no more appropriate airshow venue than Biggin Hill. 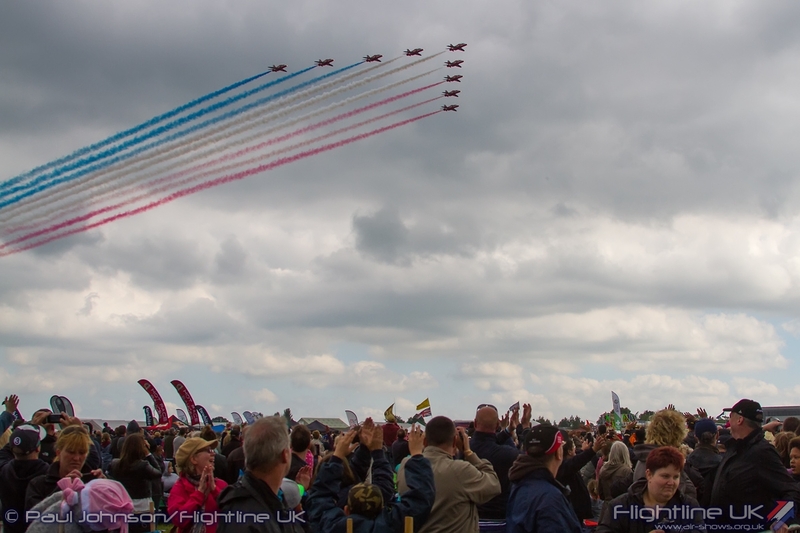 After the inaugural Festival if Flight last year, the event returned this year with an event themed around the anniversary. 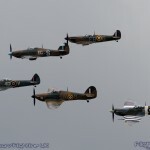 As well as the based Biggin Hill Heritage Hangar and other visiting warbirds, the Royal Air Force supported the anniversary theme well with an impressive set piece of displays. 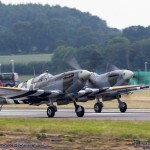 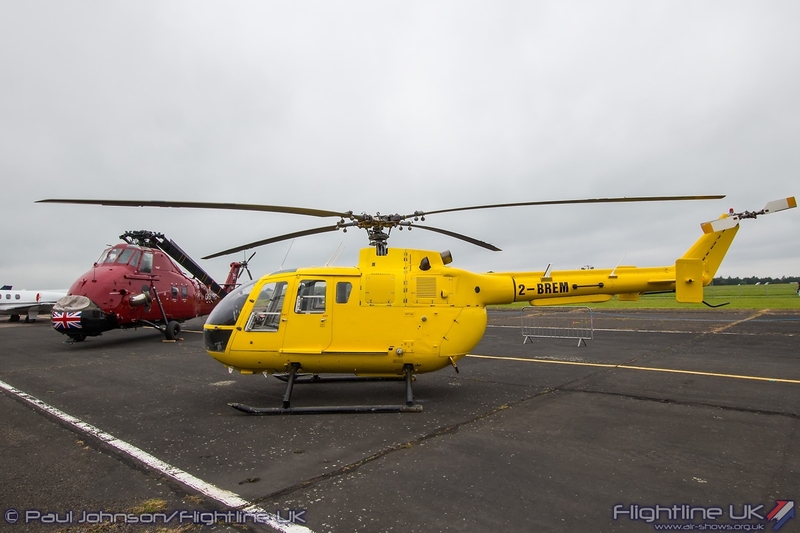 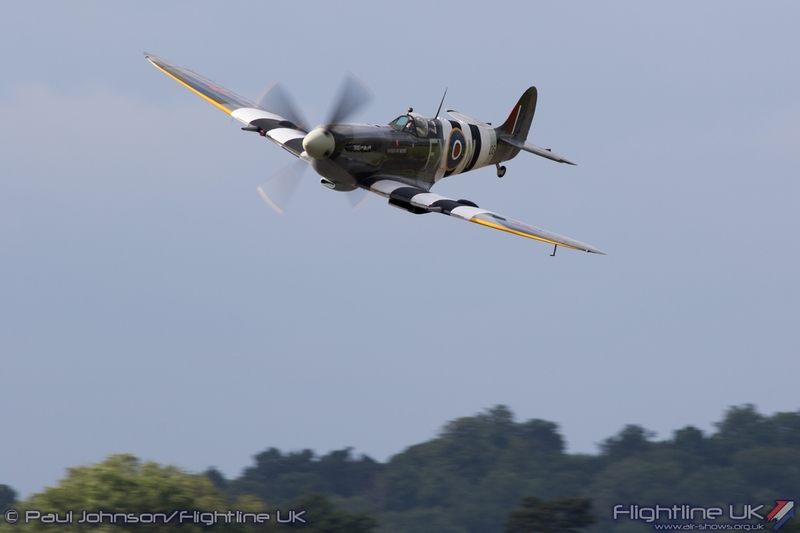 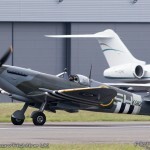 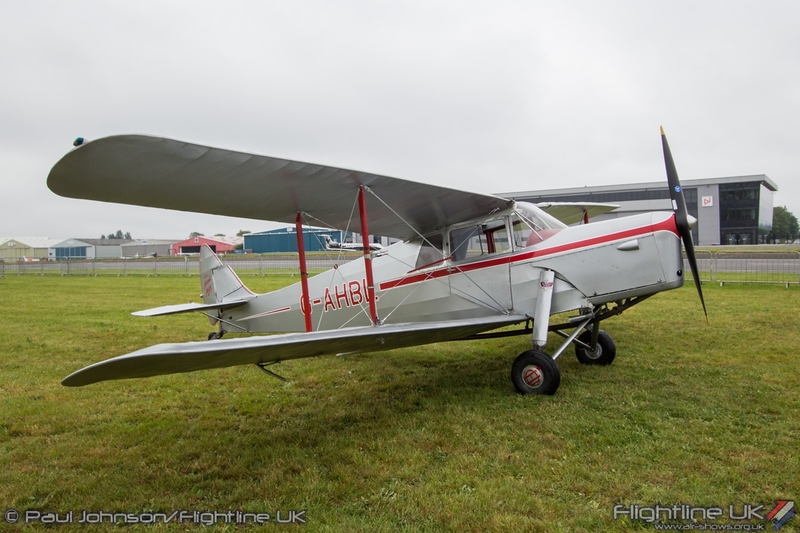 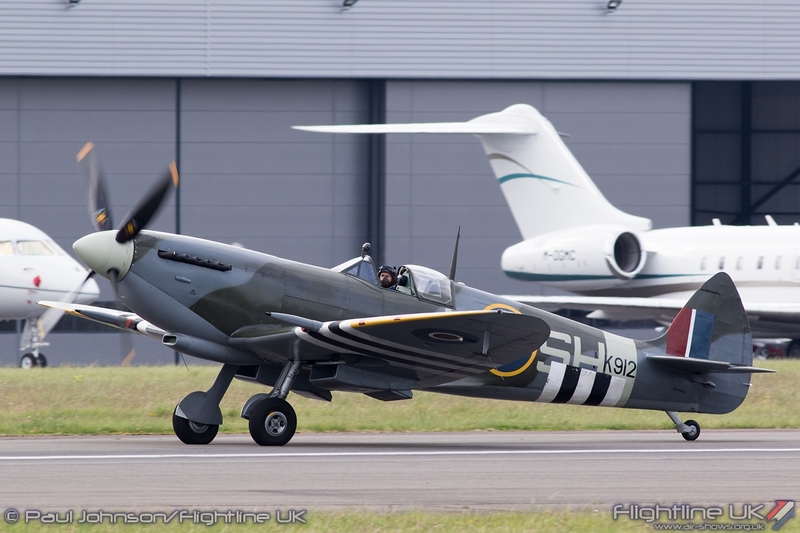 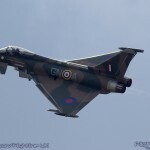 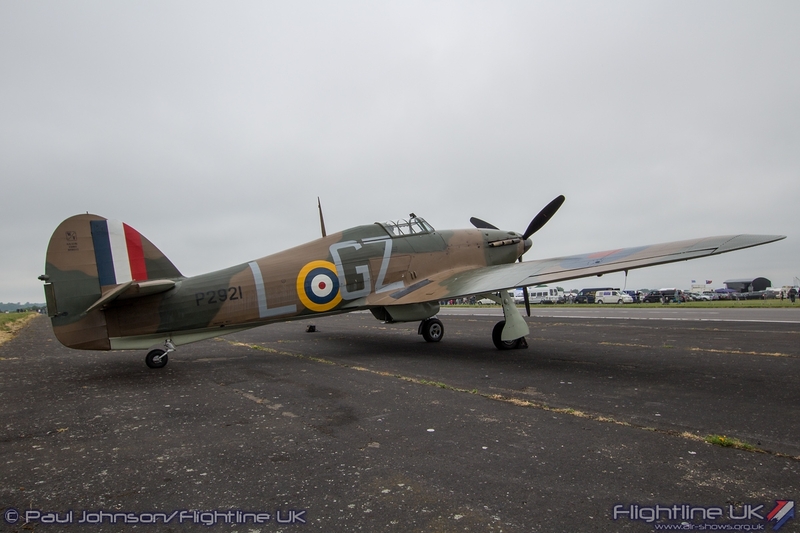 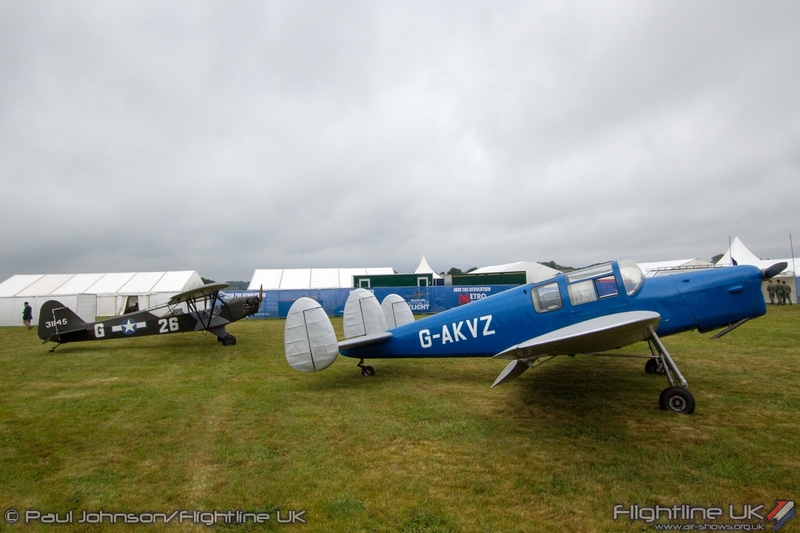 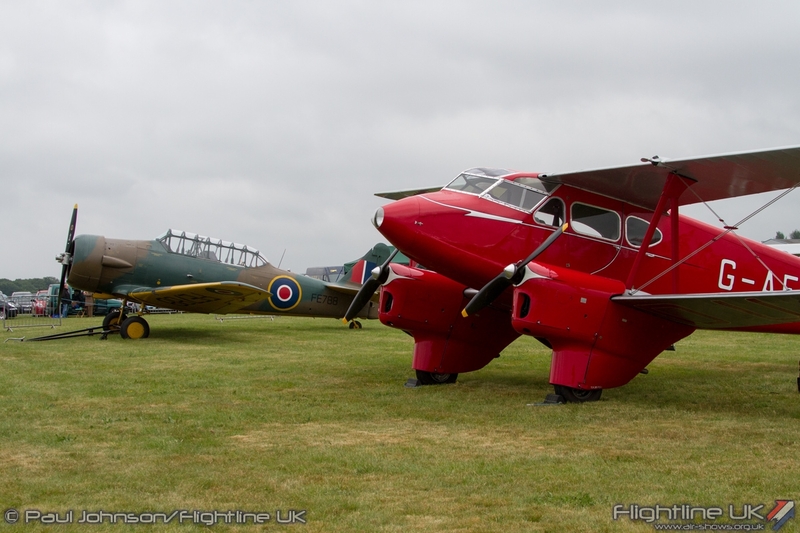 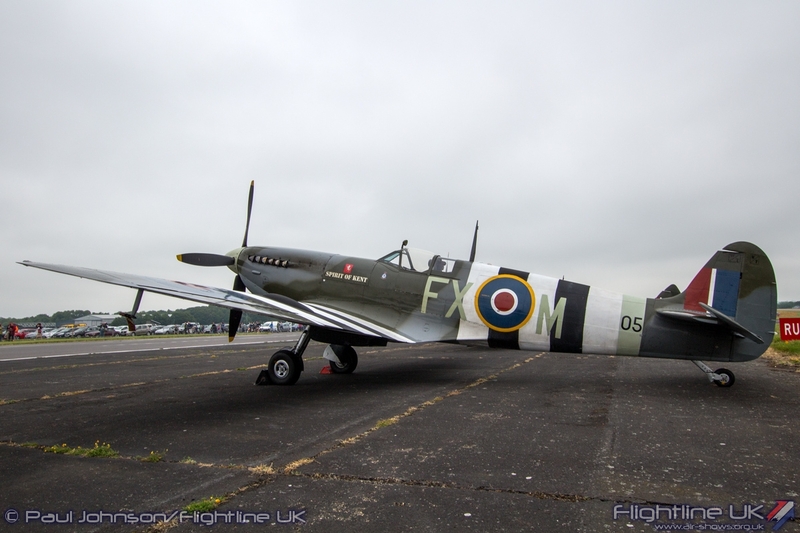 While the 2014 Festival of Flight suffering a little from some teething issues with traffic into and out of the event, there is no doubt the full return of Biggin Hill to the airshow circuit was appreciated by a huge number of people. 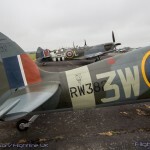 Biggin has a long and proud history of hosting great airshows through either the Battle of Britain Open Days or the much missed International Air Fair. 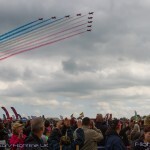 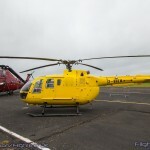 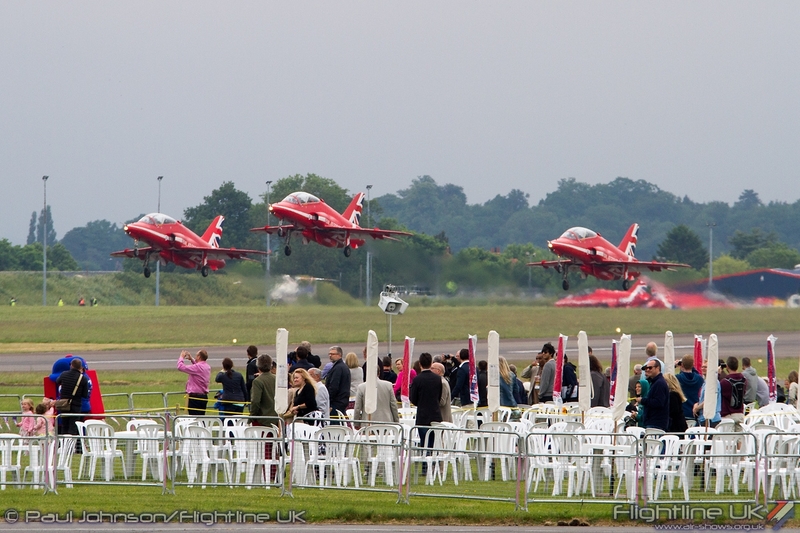 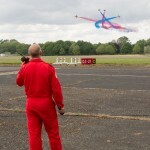 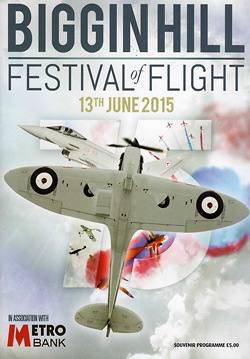 However, the Festival of Flight is a totally different event which is now much more community orientated. 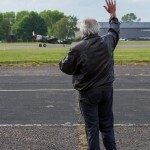 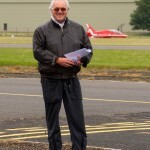 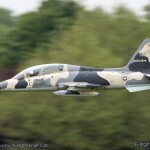 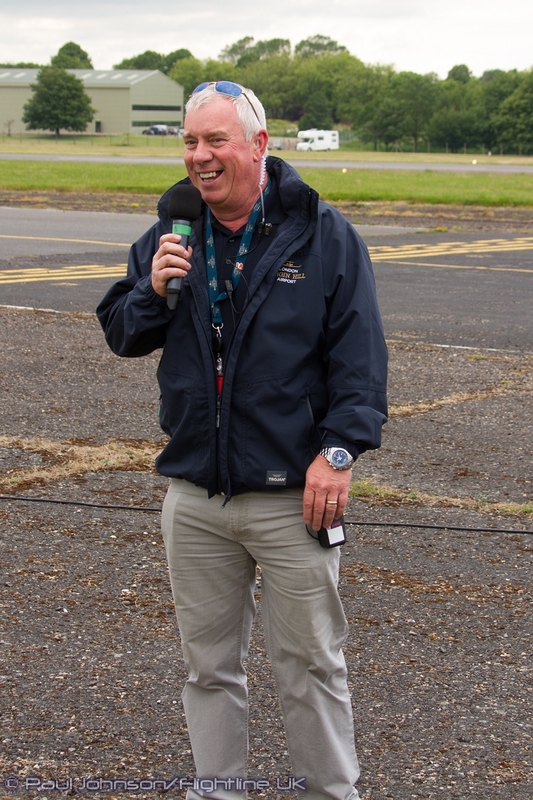 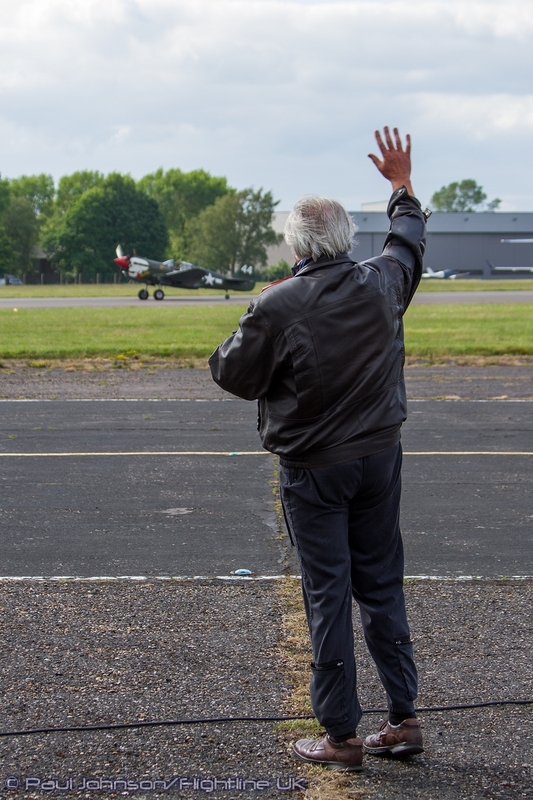 Under Managing Director Will Curtis, former Sukhoi Su-26 display pilot, Biggin Hill has improved its community relations greatly and the Festival of Flight is just one of the ways the airport gives something back to those who live in the area. 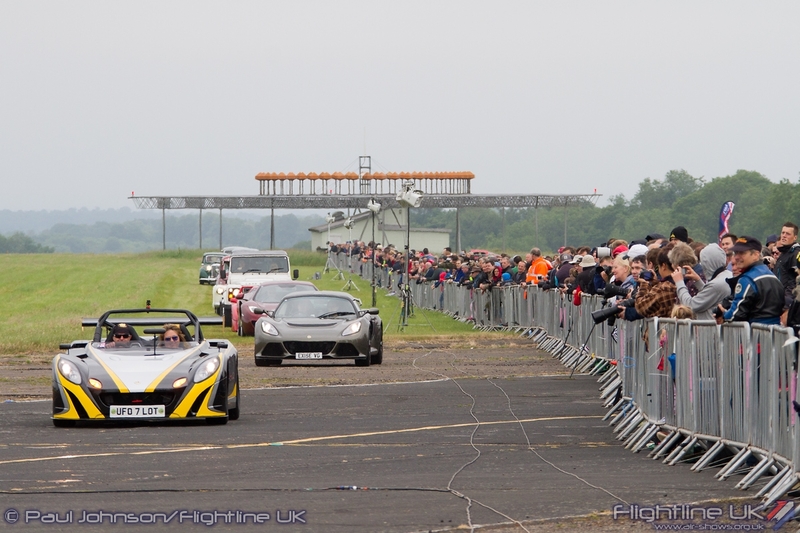 Capacity was limited to 18,000 this year, and the showground was extended further down the airfield compared to last year creating a lot more space. 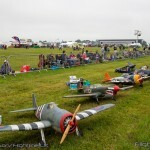 The “Festival” element extends to the ground events too with a large arena and stage at the centre of the showground. 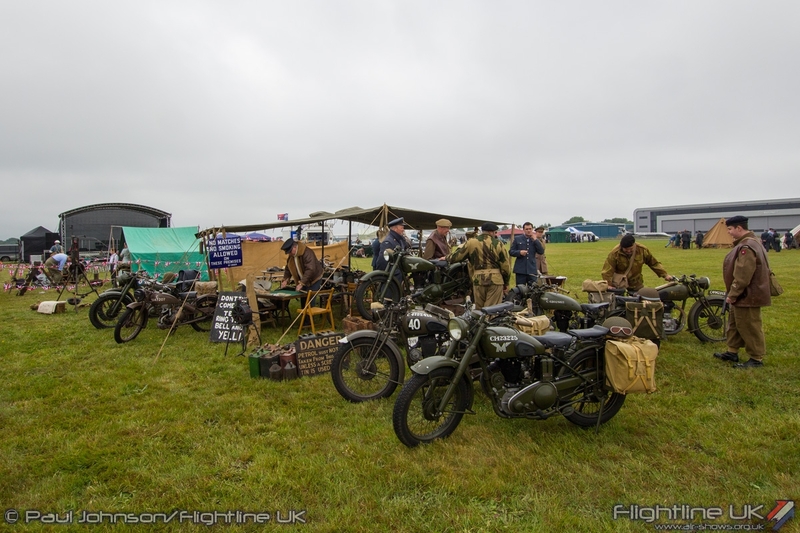 There was very much a London vibe to ground show which including dogs displays from the Metropolitan Police and a Blitz themed musical act amongst others. 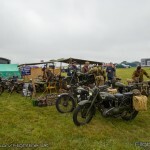 There were also displays from the “Roundel Run” and their super-cars and the Invicta Military Vehicle Preservation Society. 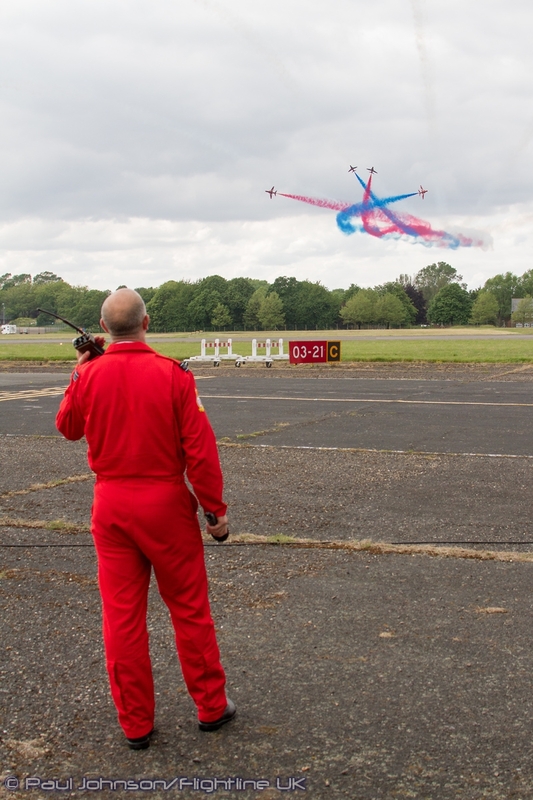 The main flying display was slightly different this year with one continuous afternoon flying display from lunchtime through to 5pm rather than the rather late finish in 2014. 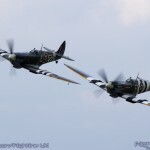 This certainly meant there was a better flow to the flying which revolved around two big set-pieces and also helped the traffic flow without such a mad dash for the exits as the flying ended. 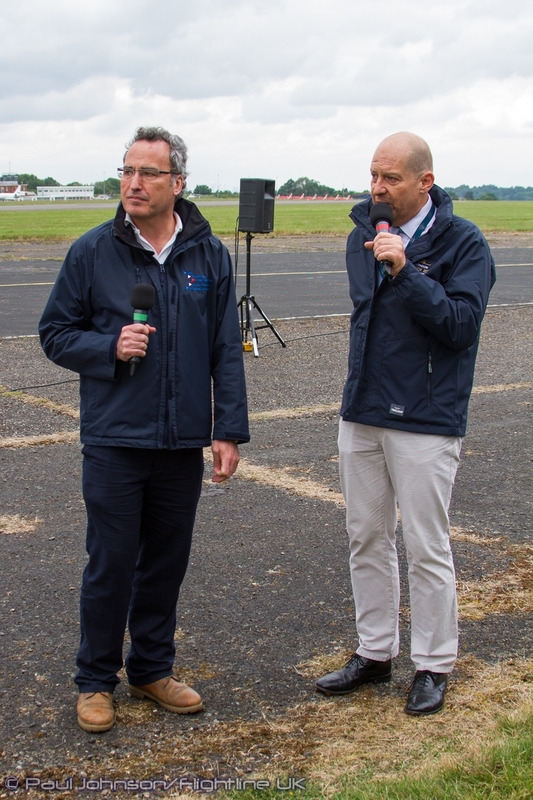 The Festival of Flight is a relaxed affair with the emphasis on fun, something that the entertaining and information commentary from Andy Pawsey and Brendan O’Brien. 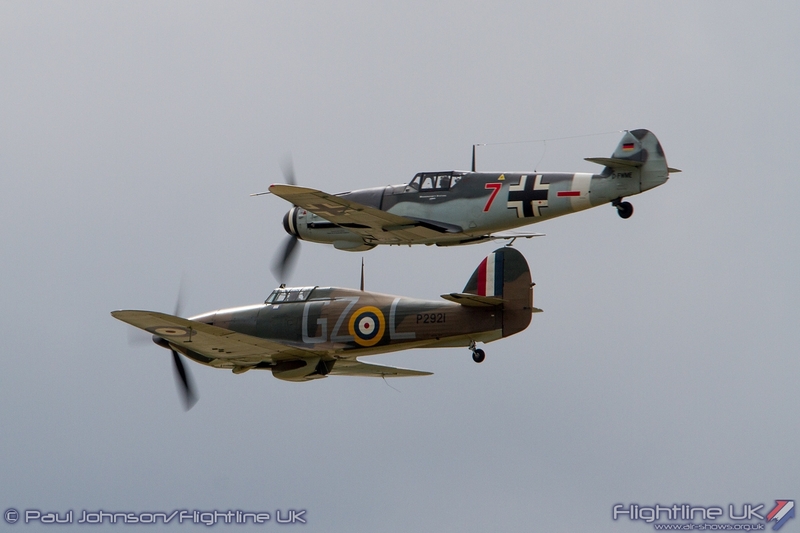 Sadly though, some unsettled summer weather caused some major problems for display acts trying to reach Biggin Hill from the north. 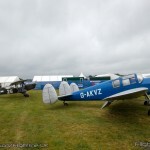 Notably this prevented Chris Burkett from getting out of Little Gransden, the Bristol Blenheim and Hispano Buchon from departing Duxford and finally the Breitling Wingwalkers coming in from their base at Rendcomb. 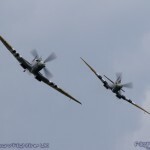 Adding to the pain were the RAF Chinook and Boeing B-17G Flying Fortress which both suffered technical problems while at RAF Northolt for their Open Day and thus becoming unable to complete their displays at Biggin. 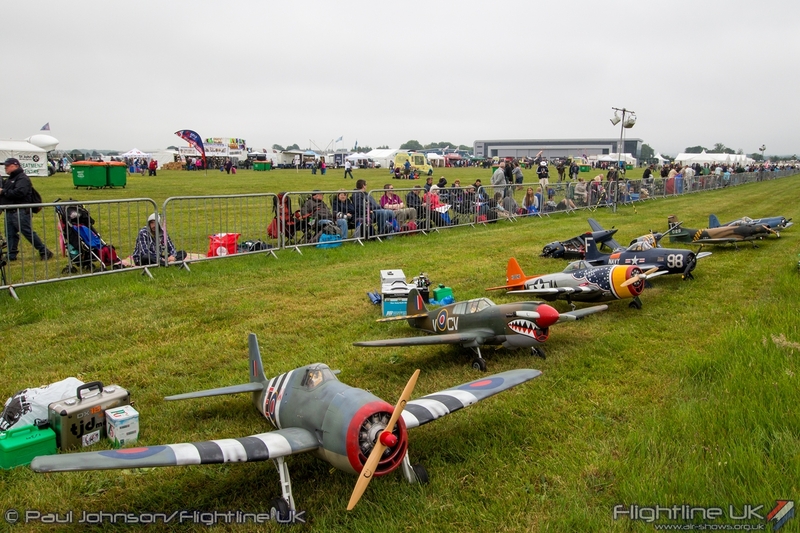 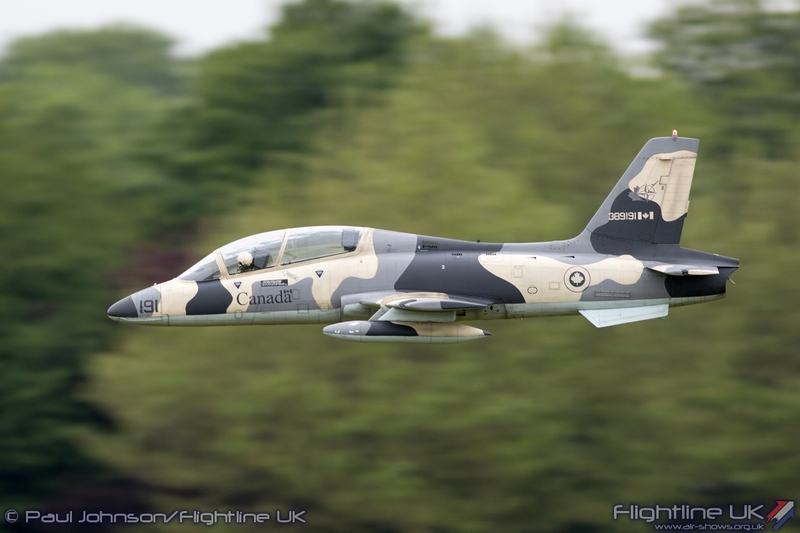 Opening the afternoon was a short slot of Radio Controlled Model flying which included the usual mix of outstanding scale replicas plus some rather exciting jets and aerobatics. 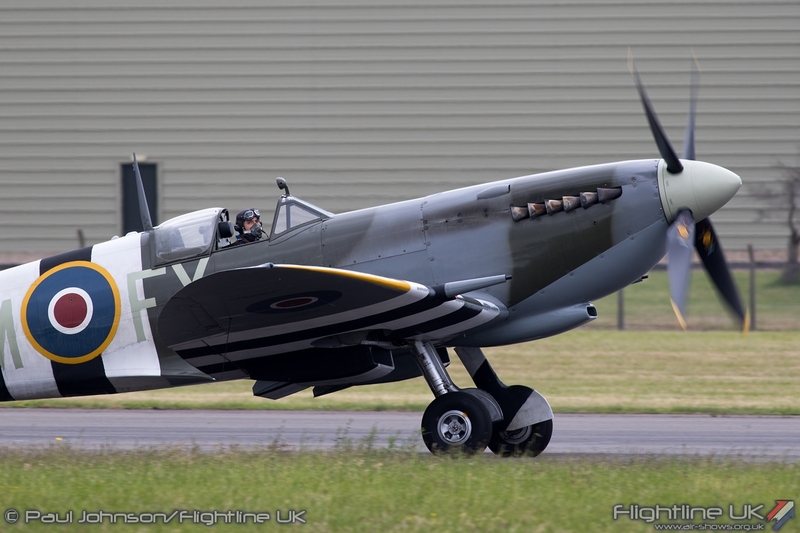 Some reappear in some of the gaps left by the cancelled aircraft too at least keep the action on the flightline going throughout the afternoon. 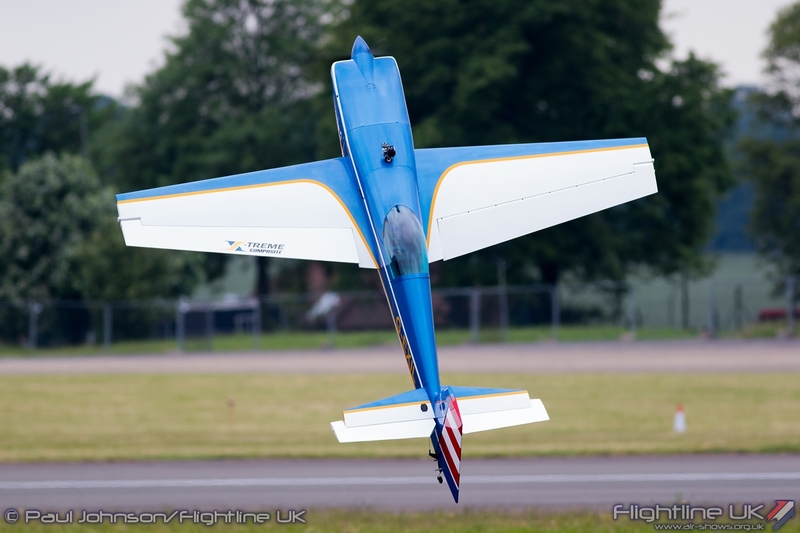 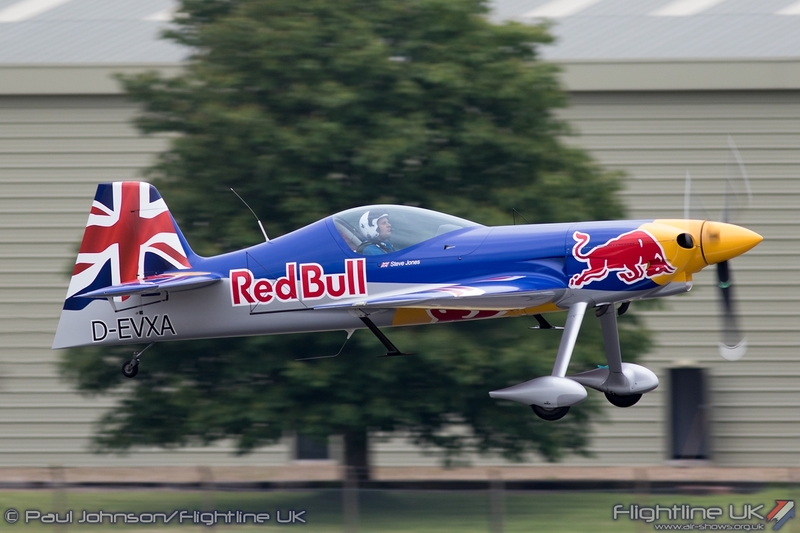 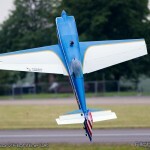 The full sized flying got underway with Steve Jones of the Matadors Aerobatic Team giving a masterclass in low level aerobatics under the clag in his Xtreme Air XA41. 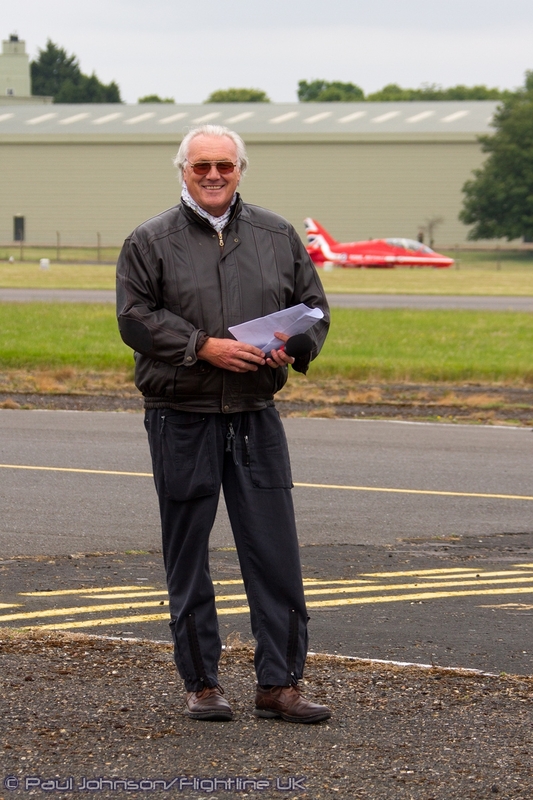 Paul Bonhomme had hoped to fly in to join Steve but like others to the north could not get airboune instead choosing to drive down! 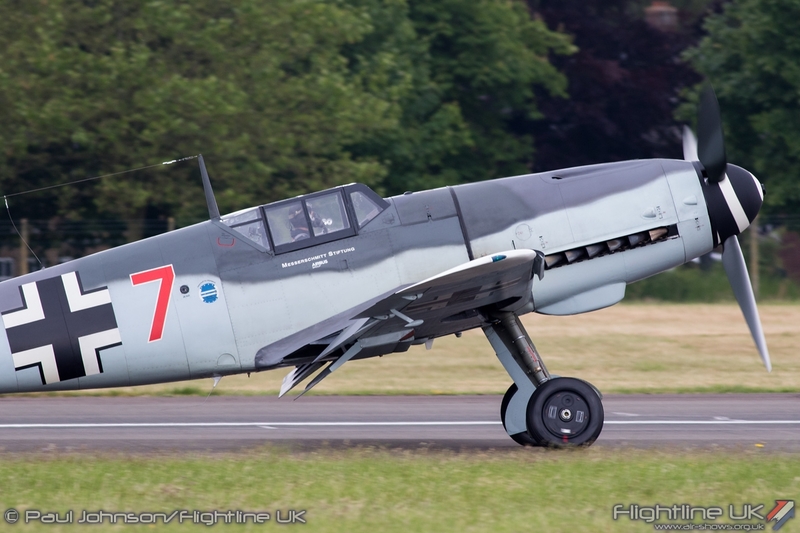 The Yakovlevs returned to Biggin Hill with their Super Yak-52 leading a trio of Yak-50s. 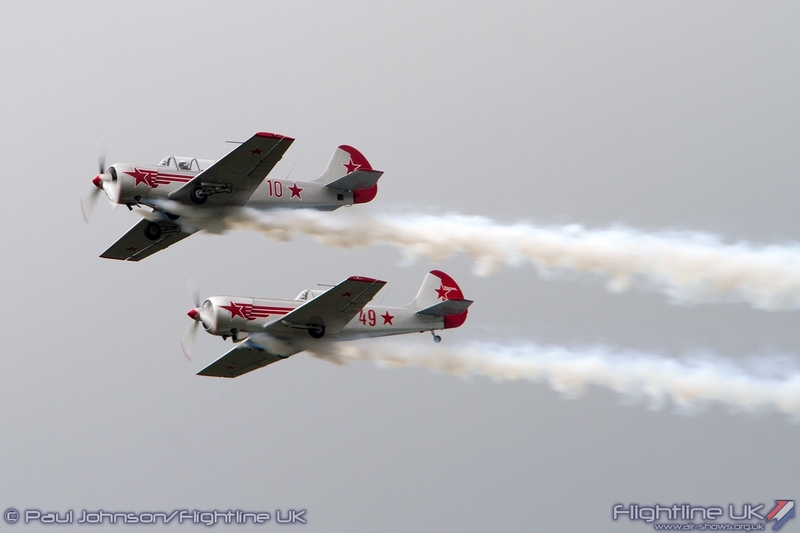 With their simple, yet elegant Silver and Red colour scheme, the Yakovlevs produce a very polished aerial ballet of formation and synchronised aerobatics. 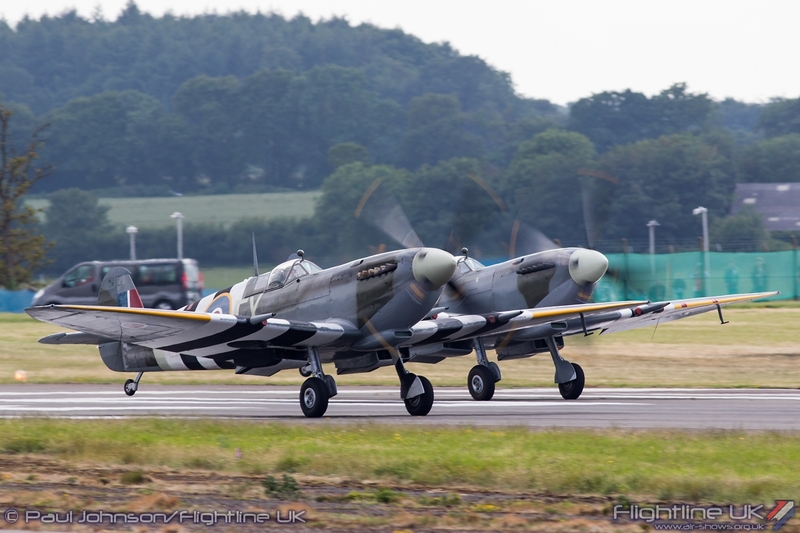 While the Battle of Britain anniversary was the focus of the show, there was at least one other warbird to spice things up for some variety. 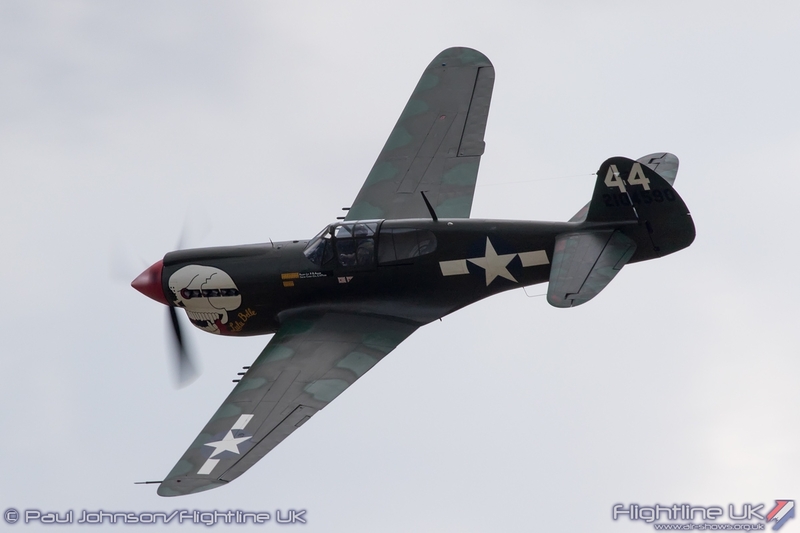 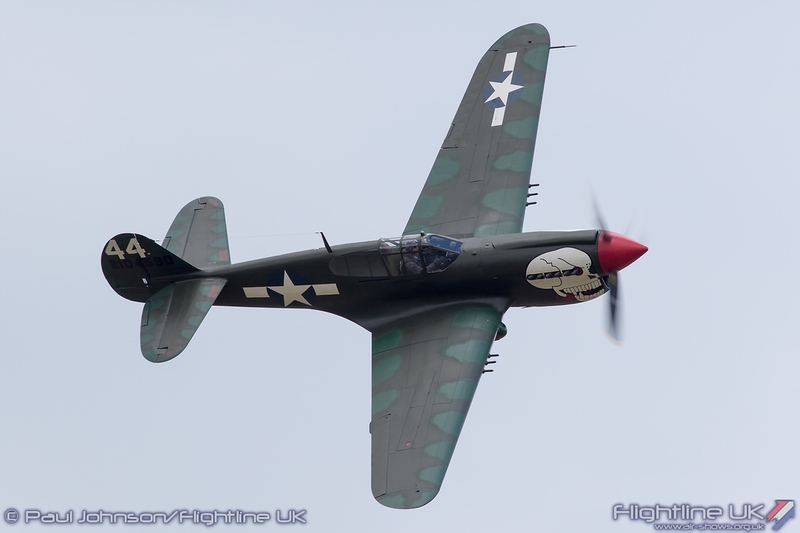 Peter Teichman flew a smooth solo display in his Curtiss P-40M Kittyhawk making full use of the limited airspace. 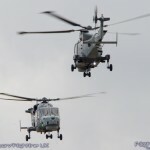 It was good to see some good military support for the event this year. 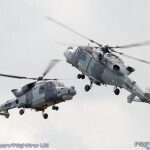 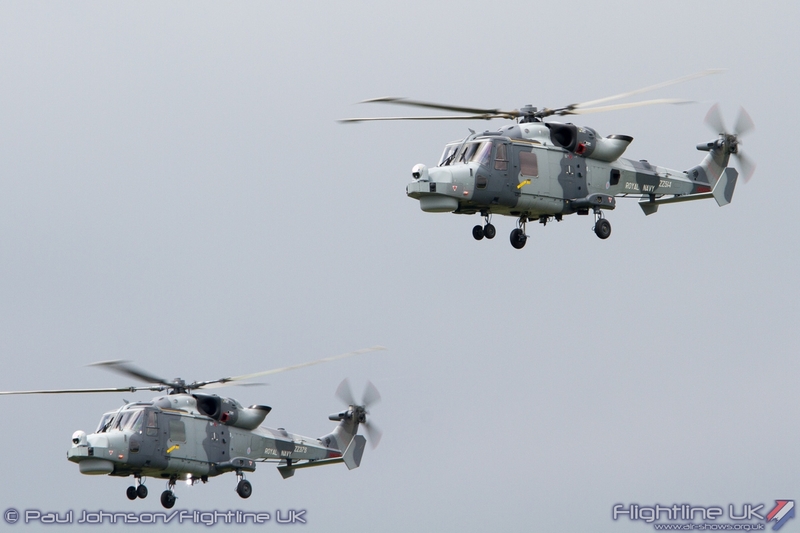 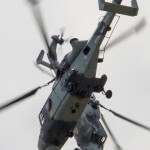 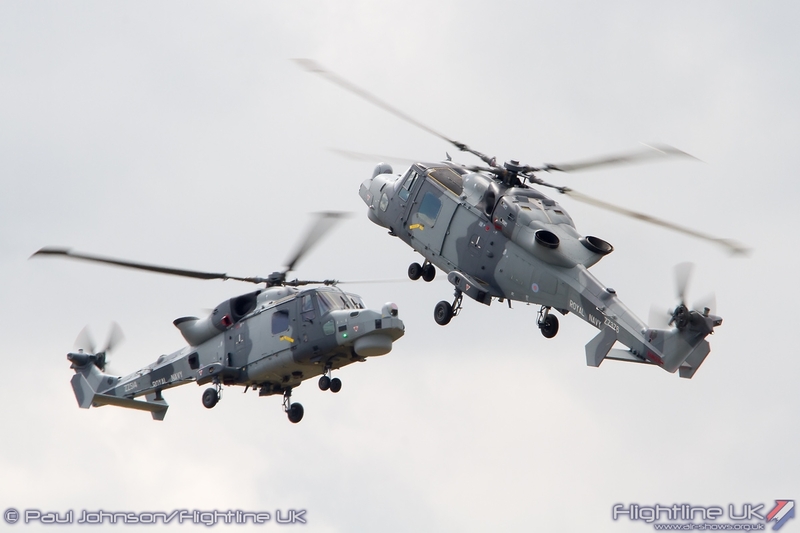 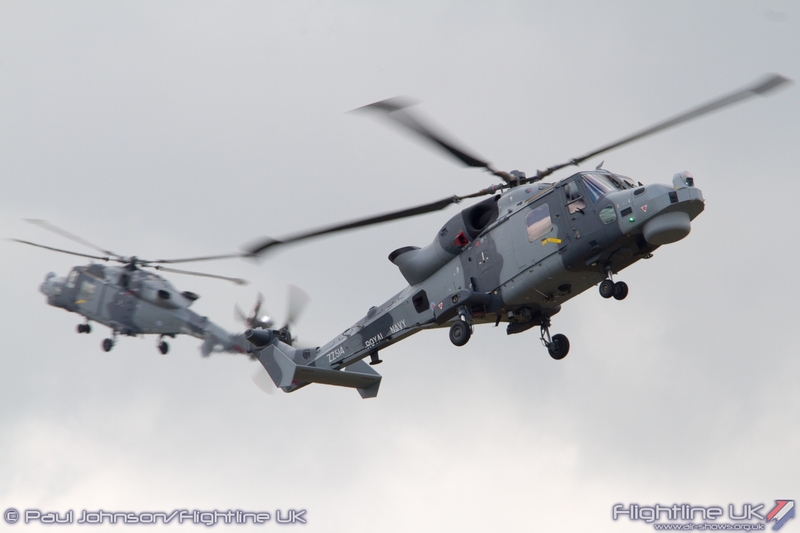 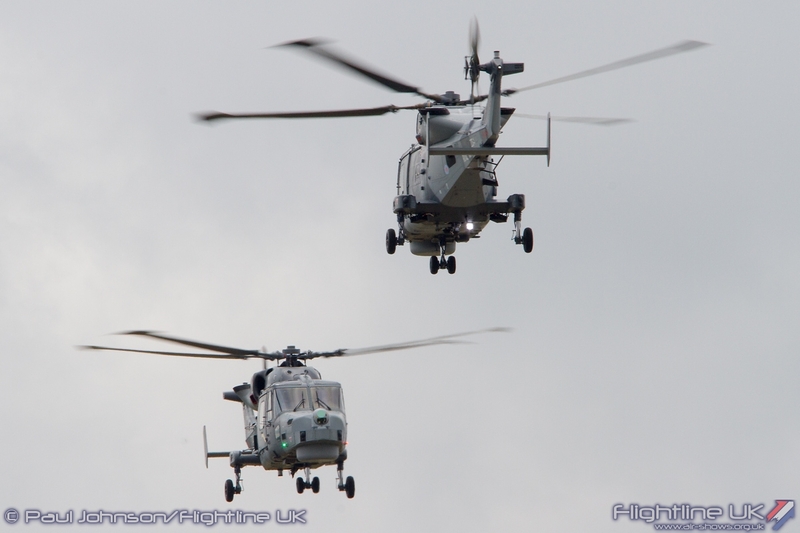 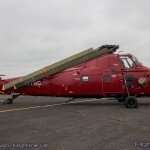 The Royal Navy returned with one of the first public appearances of the Black Cats Helicopter Display Team. 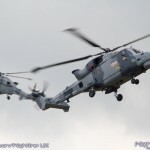 For the first time this year, the team are using a pair of AgustaWestland Wildcat HMA2 helicopters from the newly formed 825 NAS at RNAS Yeovilton. 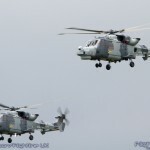 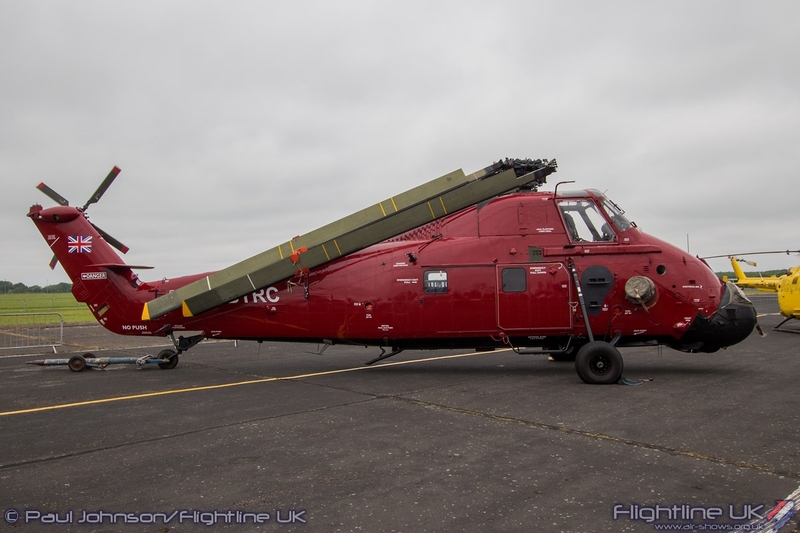 Despite some similarity to the older Lynx, the Wildcat is a brand new helicopter with all new avionics and capabilities for the Fleet Air Arm and the small ships it embarks upon. 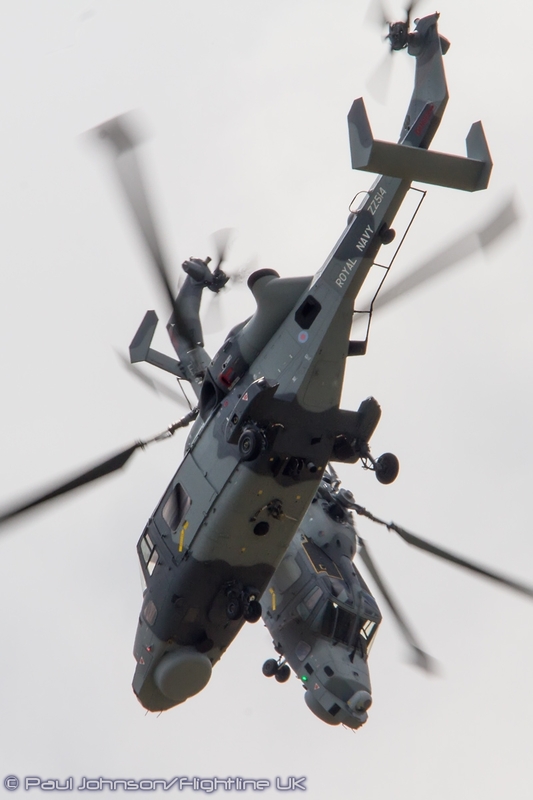 The slightly more boxy shape, particularly at the rear of the machine and the two-tone camouflage also makes the Wildcat somewhat more imposing than the Lynx. 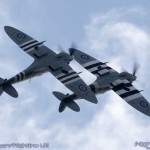 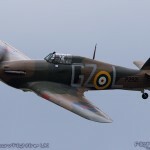 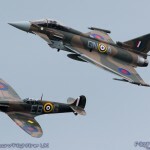 The 75th Anniversary of the Battle of Britain was marked with two major set-pieces during the afternoon. 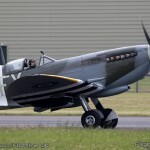 The first was formed by the civilian owned warbirds in a recreation of scenes Biggin Hill witnessed during 1940 and featured some very exciting aircraft. 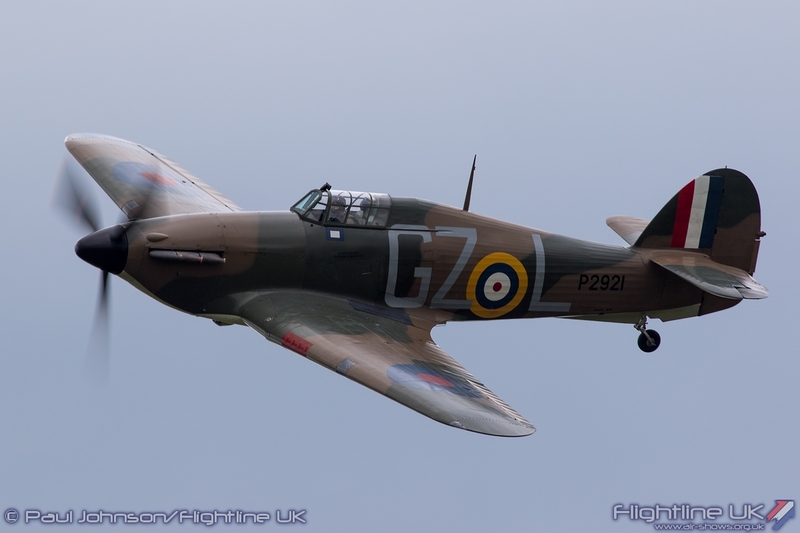 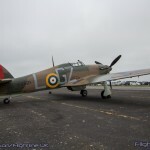 First to appear was Clive Denny in the Biggin Hill Heritage Hangar’s Hawker Hurricane I highlighting the aircrafts role in the preceeding Battle of France as well as the aircraft’s role in the Battle of Britain. 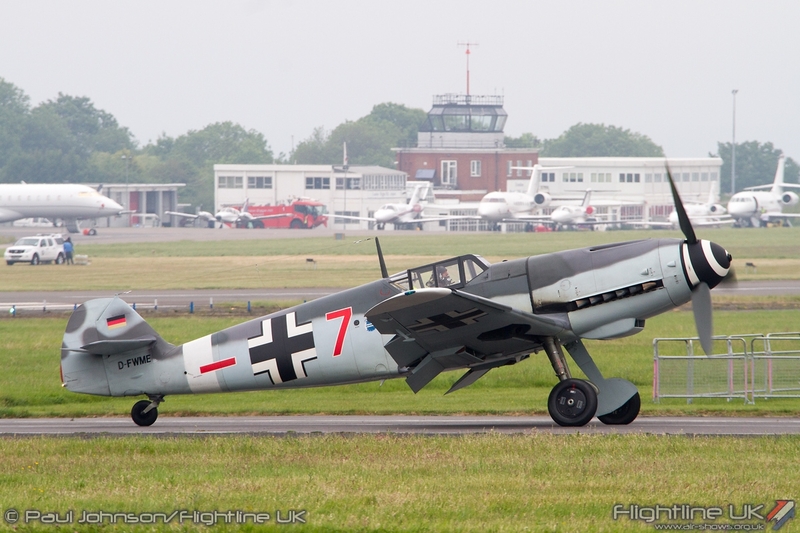 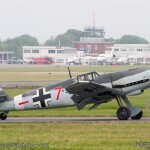 The attacking Luftwaffe were represented the Flugmuseum’s Messerschmitt Bf109G-4 over from Germany. 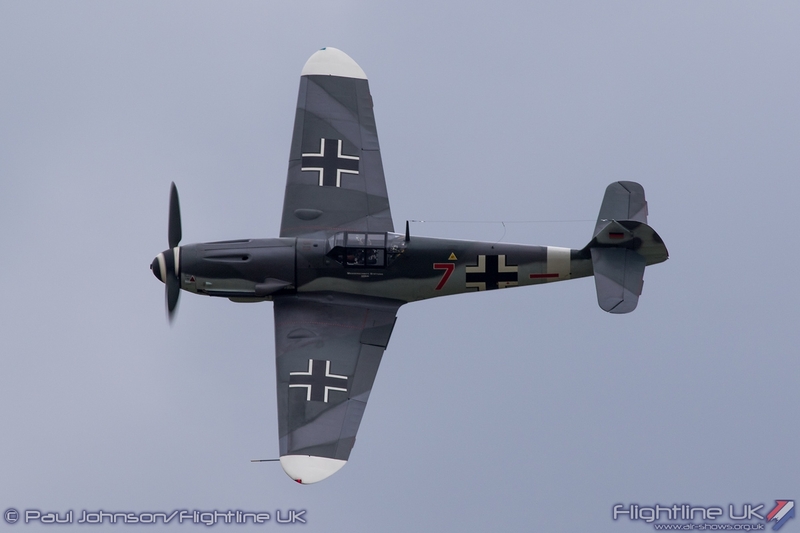 It was fantastic to see the Daimler-Benz powered aircraft back at a UK show after its debut at the Royal International Air Tattoo in 2010 and take a leading role in the Battle of Britain commemorations at Biggin Hill. 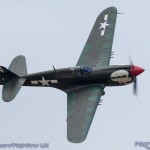 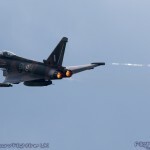 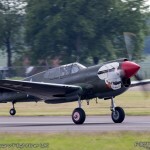 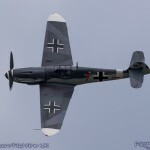 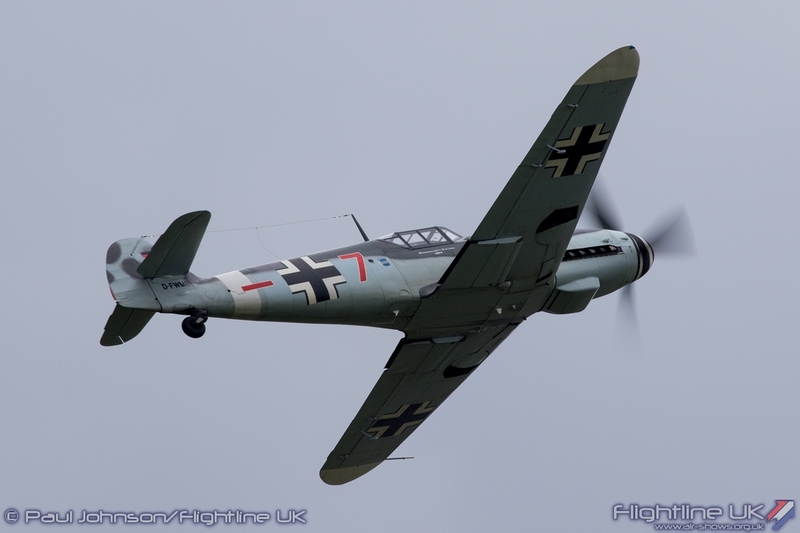 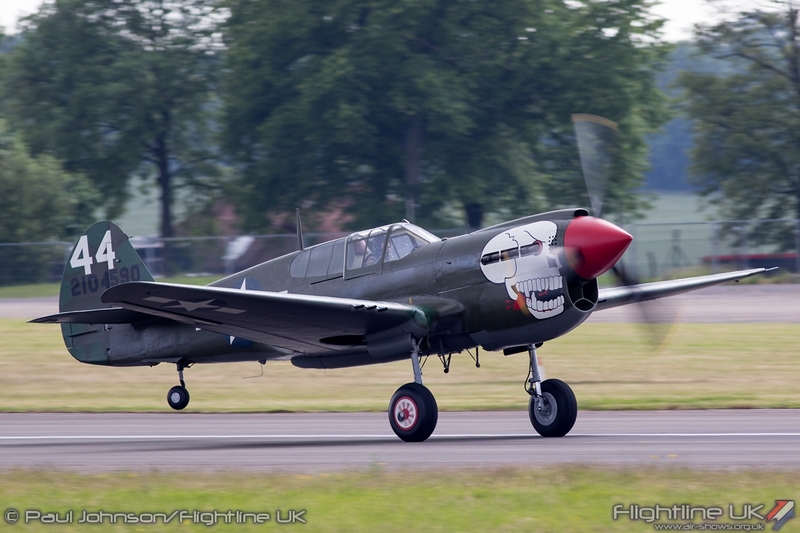 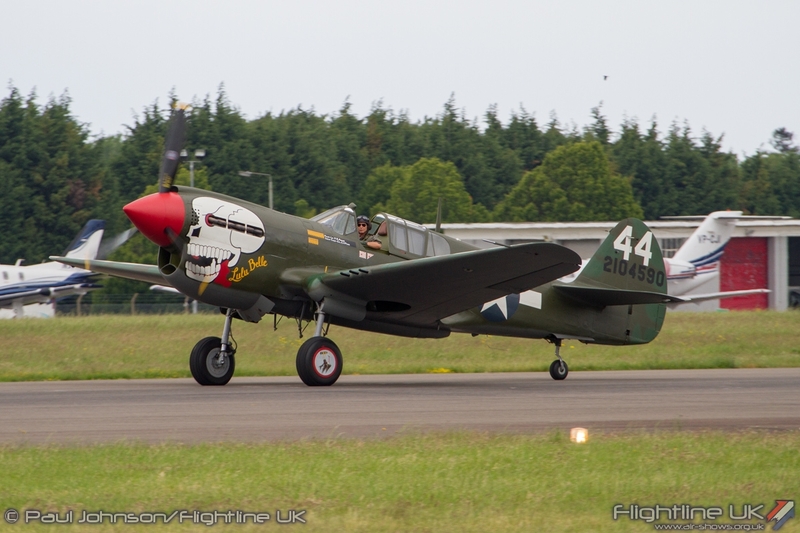 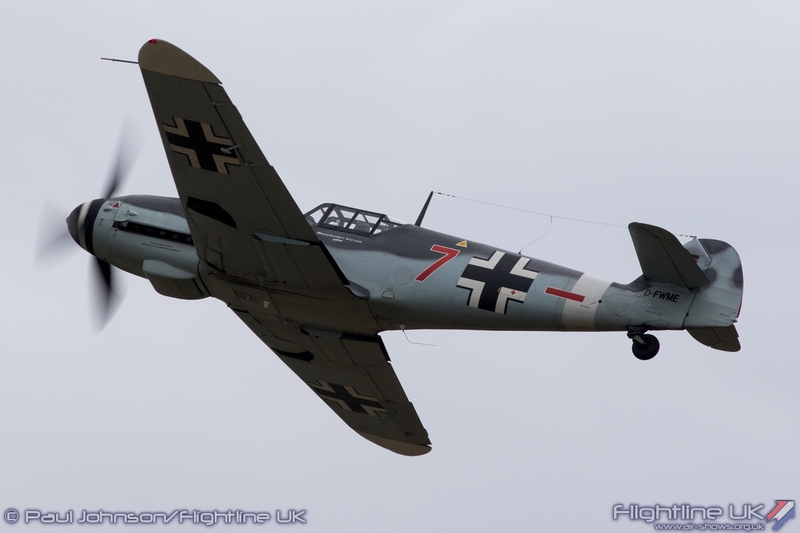 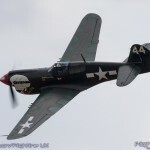 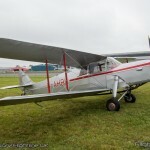 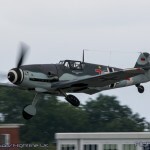 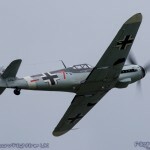 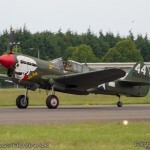 It has an amazing throaty engine note was flown with great panache by Klaus Plasa pulling wingtip vortices off the aircraft’s wingtips as wheeled around over Biggin conducting strafing runs. 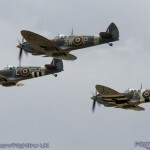 Scrambling from underneath the attacking aircraft were three Spitfires from the Biggin Hill Heritage Hangar flown by Dan Griffith, Paul Bonhomme and Steve Jones. 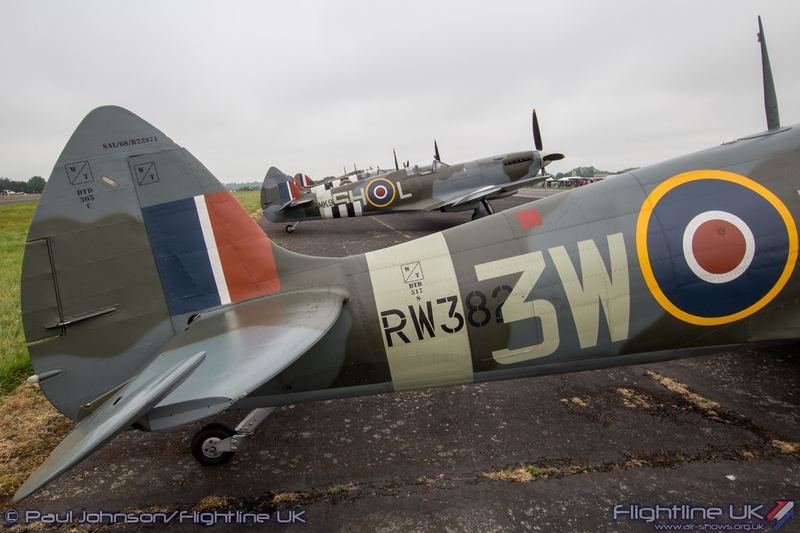 The aircraft involved with Spitfire IX TA805 “Spirit of Kent”, Spitfire IX MK912 and Spitfire XVI RW382. 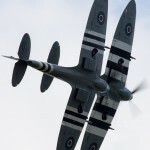 As they got airborne, the airfield was subject to a huge bombing running with explosions running the length of the crowdline before the Spitfires returned for some tailchasing. 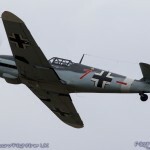 However it wasn’t long before Klaus returned with the 109. 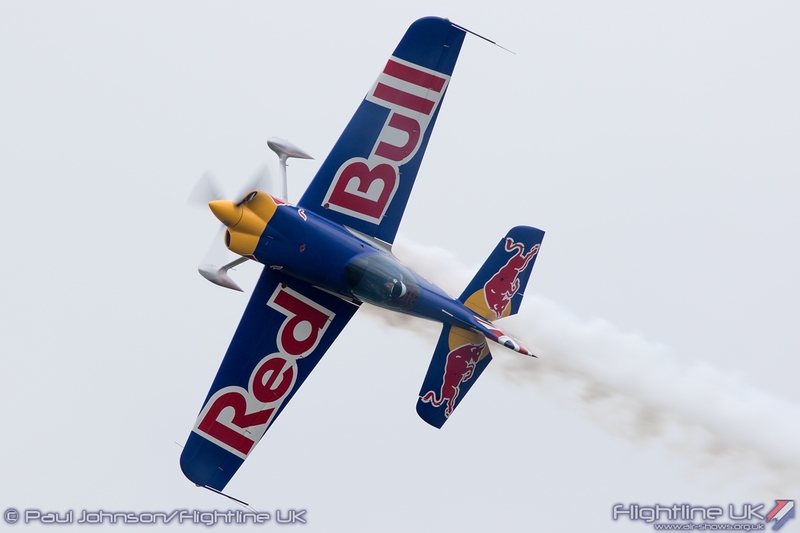 Dan Griffiths soon peeled off into a battle-climb to duel with Klaus in the overhead. 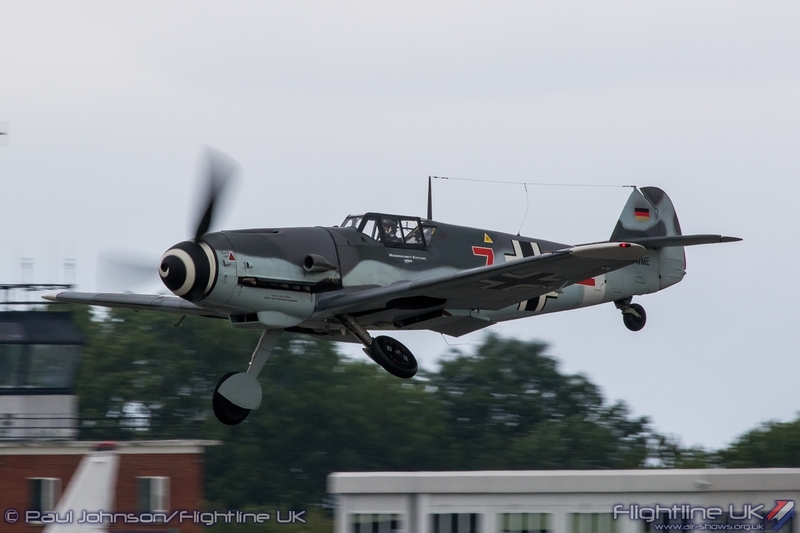 Dan really knows how to present a Spitfire in a dramatic dogfight trying to get an enemy in his gunsights using the full turning performance of the aircraft while the Bf109G did its best to evade incoming fire! 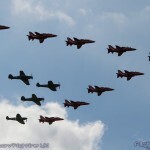 The sequence came to a close with a flypast by all the participants. 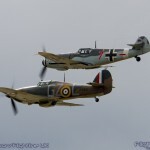 The flying was great, but particular credit must go to Andy Pawsey who put together a superb narrative to the set-piece to bring the story of the Battle of Britain alive for this sequence of flying. 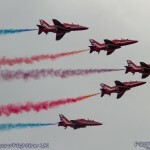 The second and very impressive set-piece was an all Royal Air Force affair. 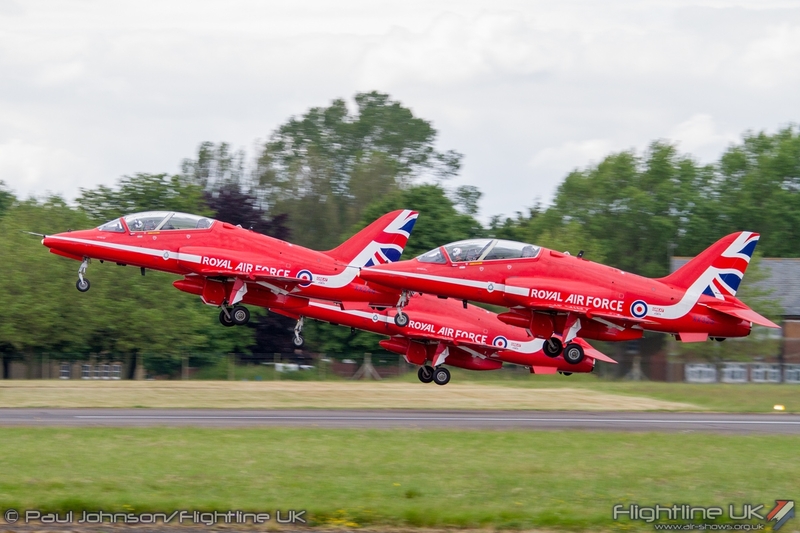 It opened appropriately with the Red Arrows flying their mix of flat and rolling displays under the busy London airspace that extends over Biggin Hill. 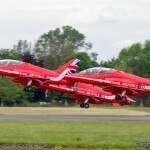 Despite being limited, the Reds are always impressive over Biggin Hill, particularly against the Backdrop of Docklands and the East End of London. 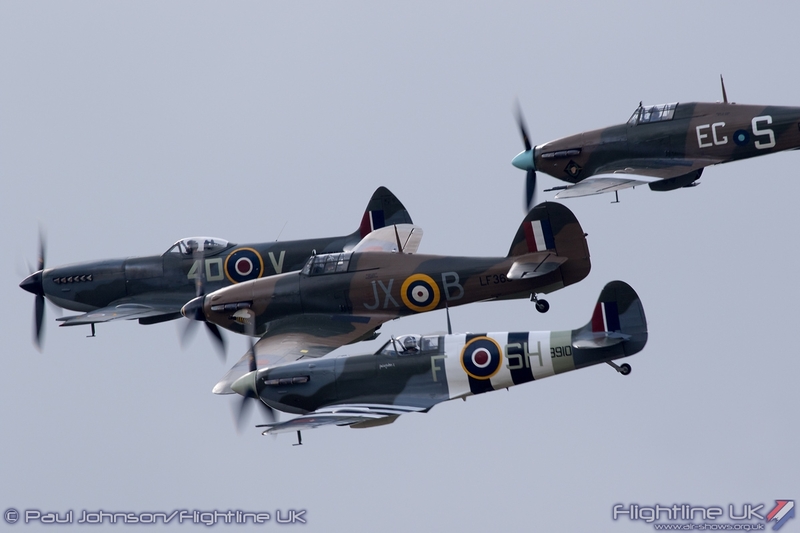 After their display, five fighters from the Battle of Britain Memorial Flight arrived from White Waltham and followed them to the hold. 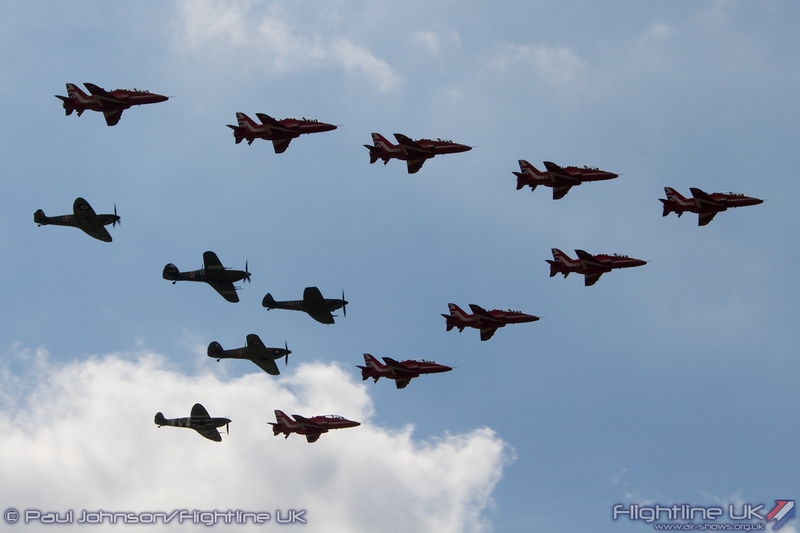 The fighters included both Hawker Hurricane IIcs, the Spitfire IIc, Spitfire Vb and Spitfire XVI and they returned in close formation behind the Red Arrows who were leading in Big Battle formation. 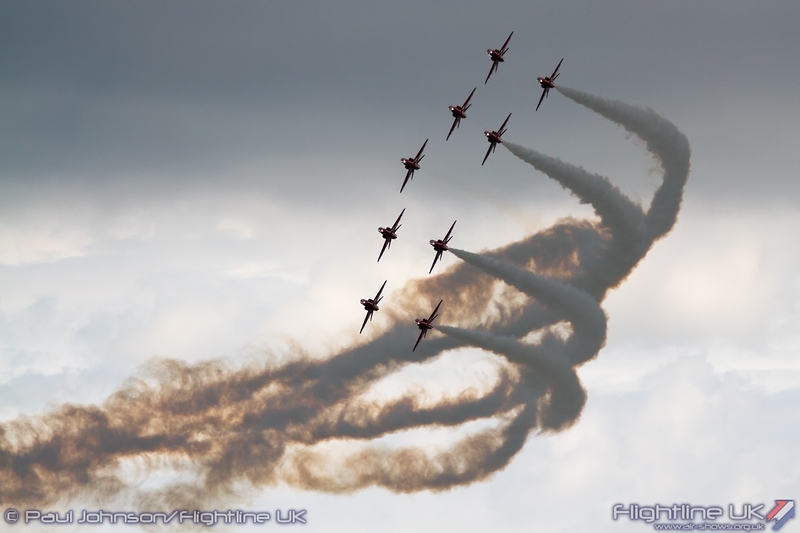 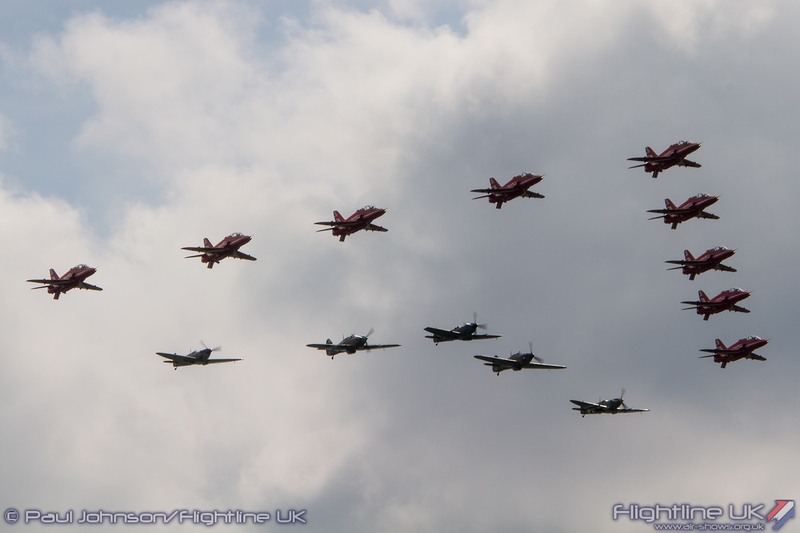 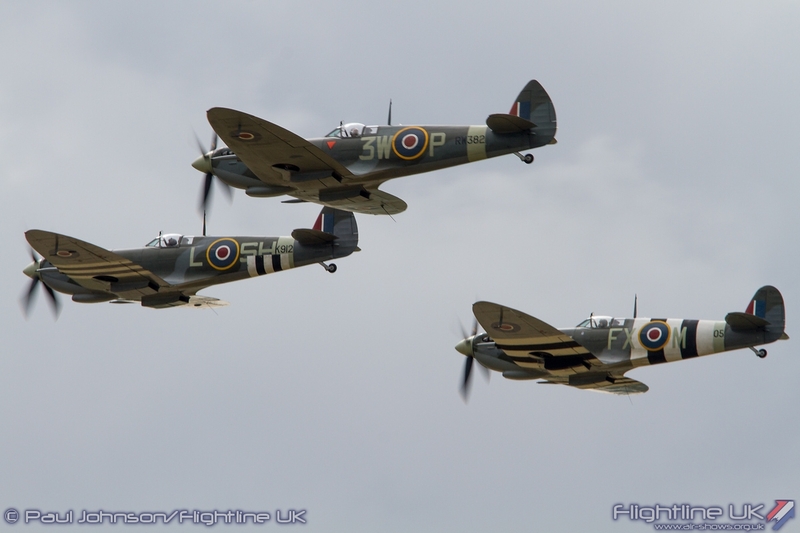 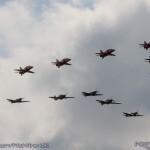 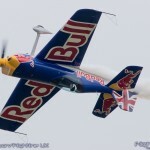 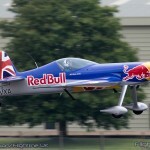 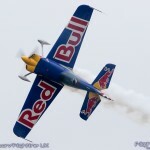 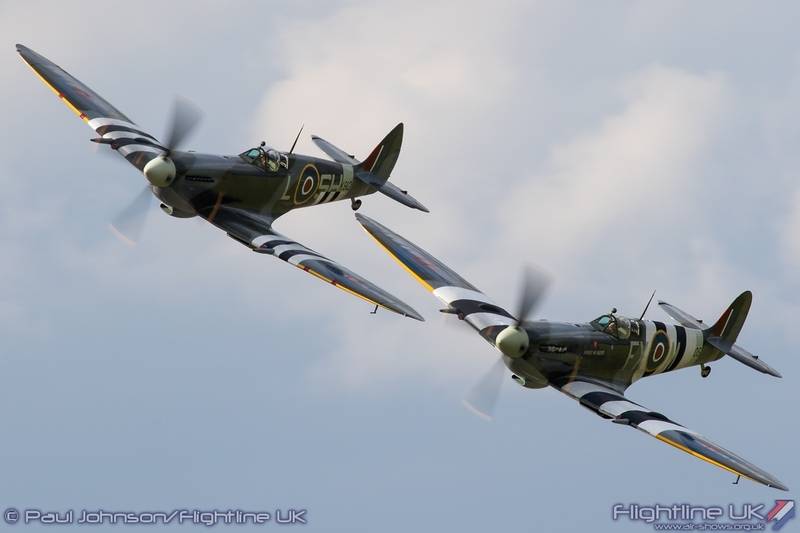 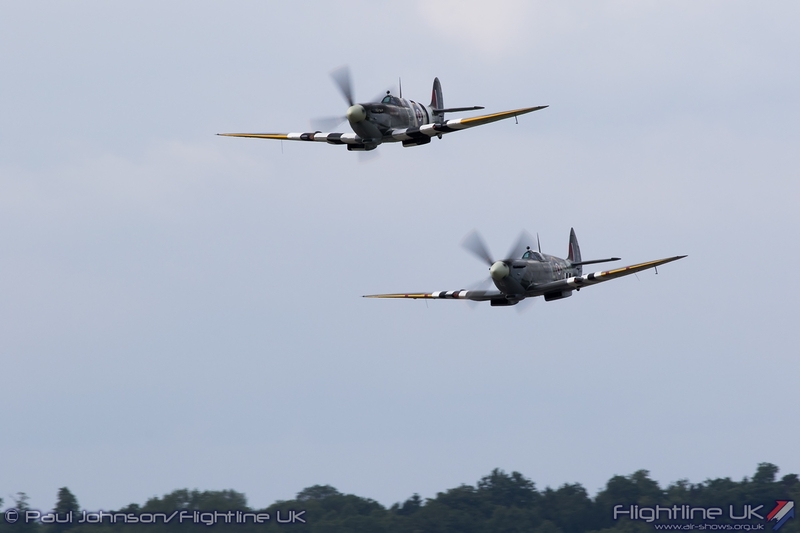 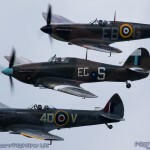 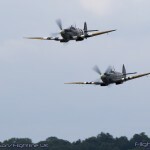 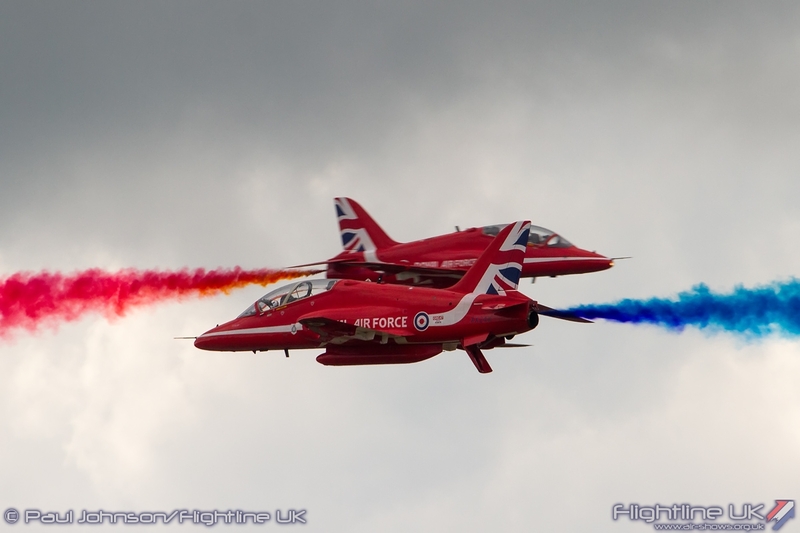 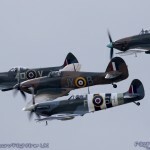 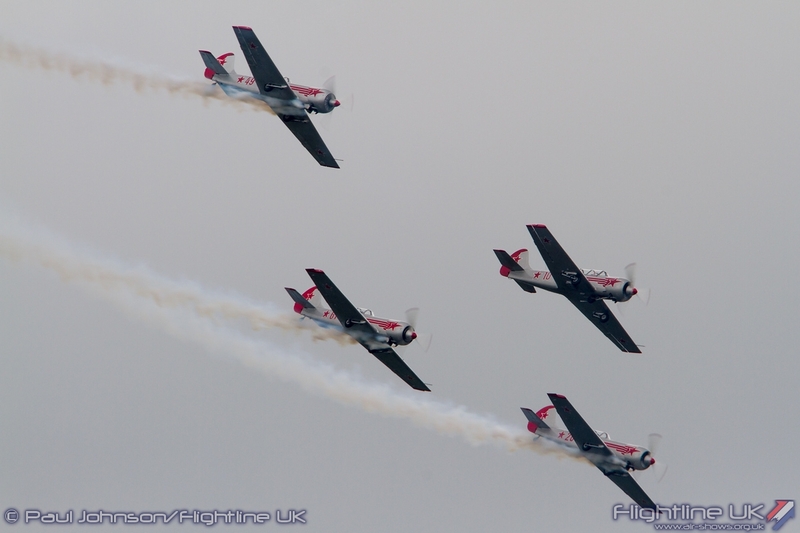 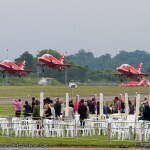 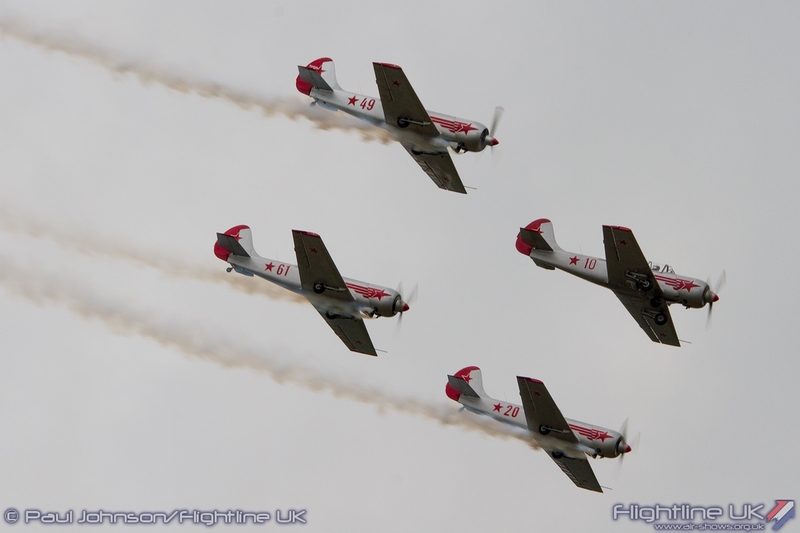 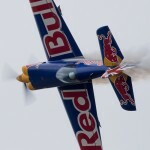 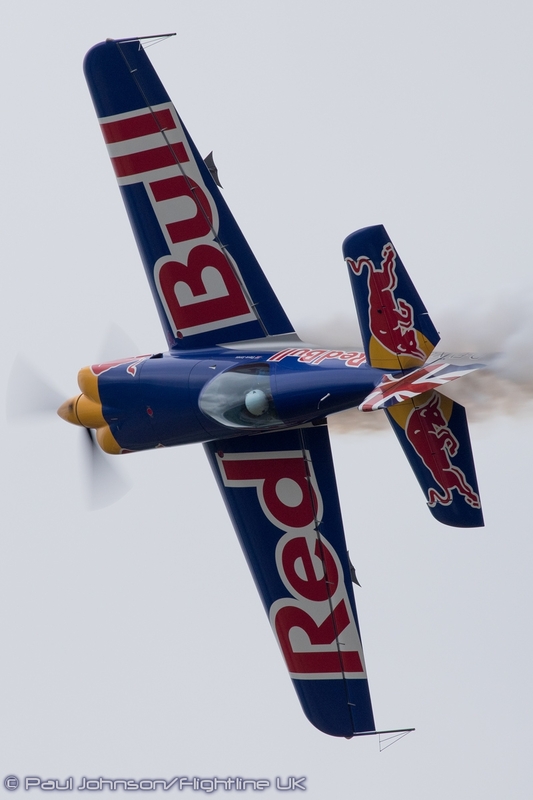 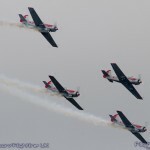 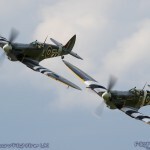 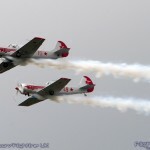 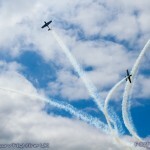 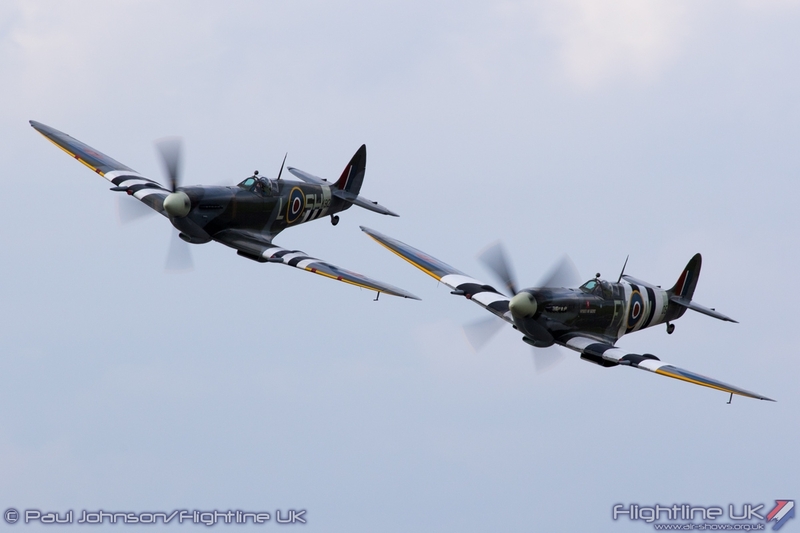 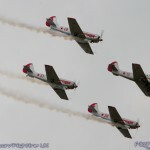 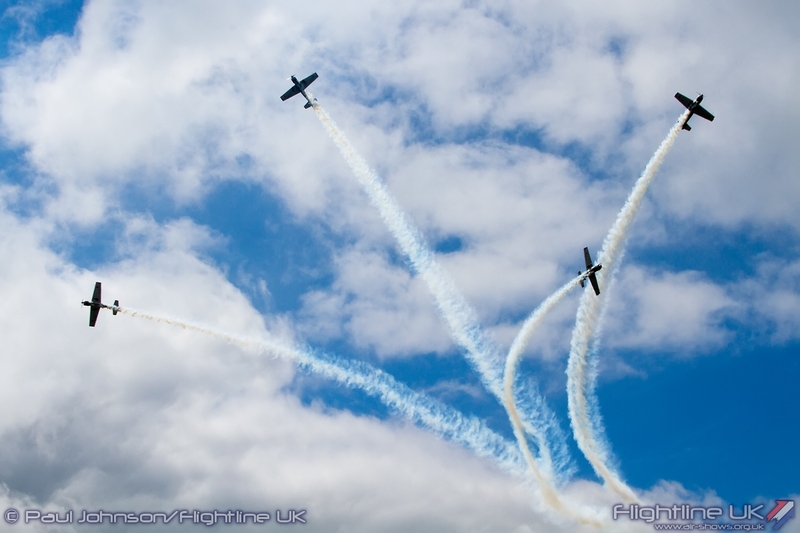 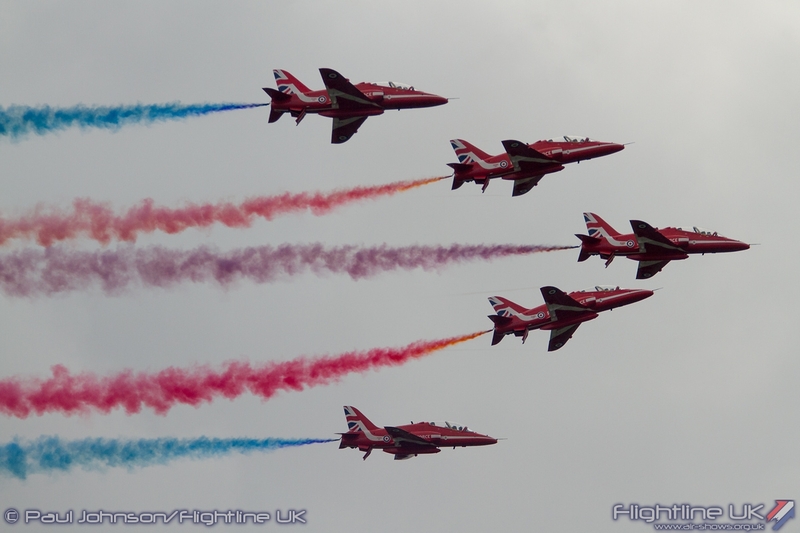 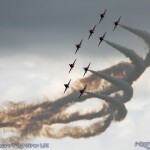 The formation will be repeated at RAF Cosford Air Show and the Duxford Battle of Britain Air Show later in the season. 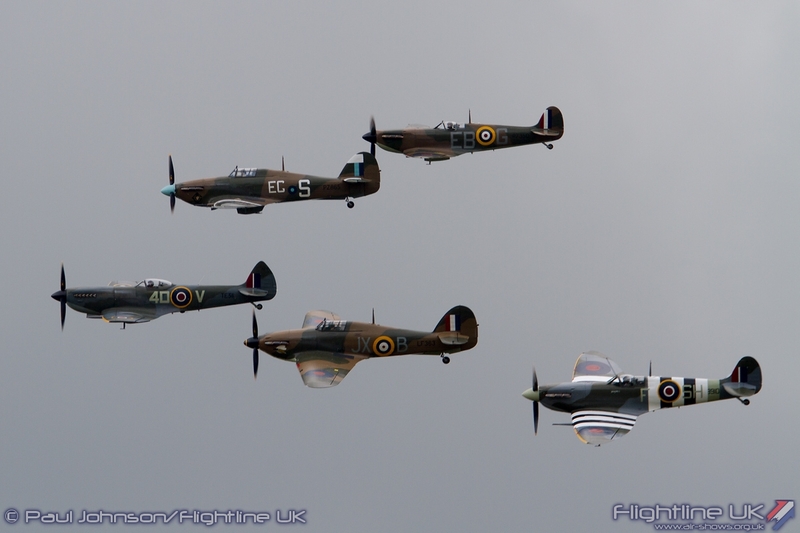 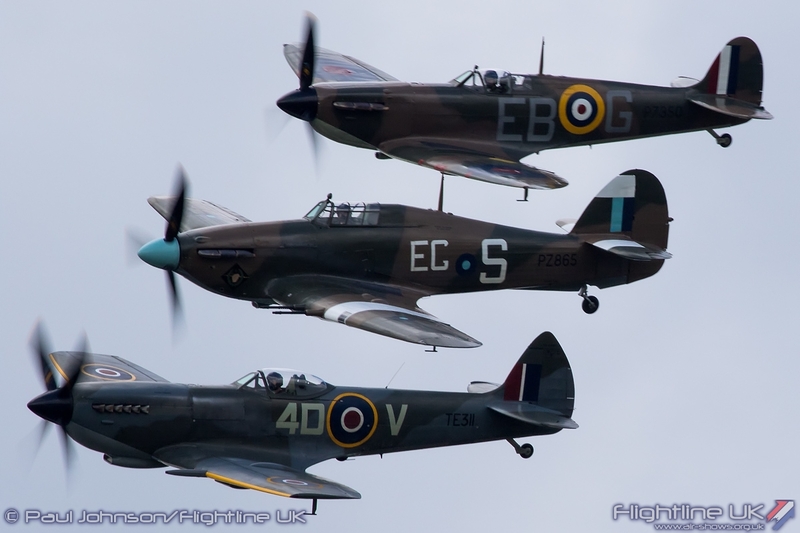 Following the formation, all five fighters displayed together – a unique and very special display for Biggin Hill. 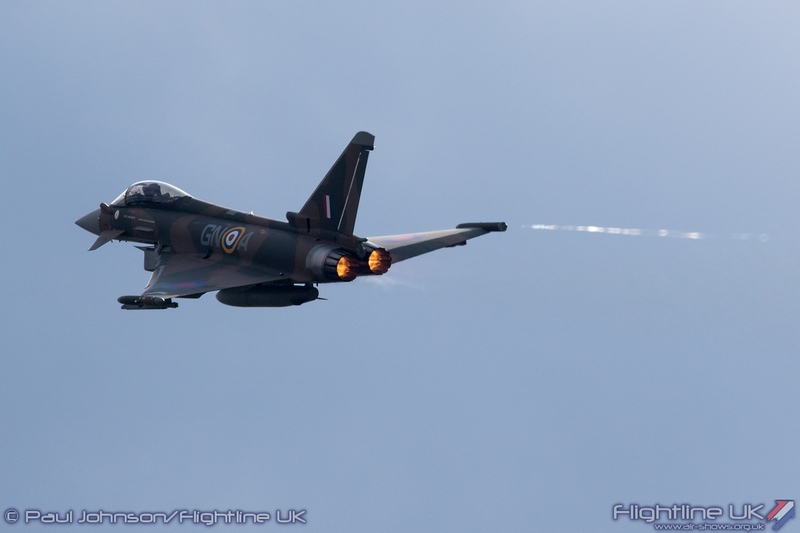 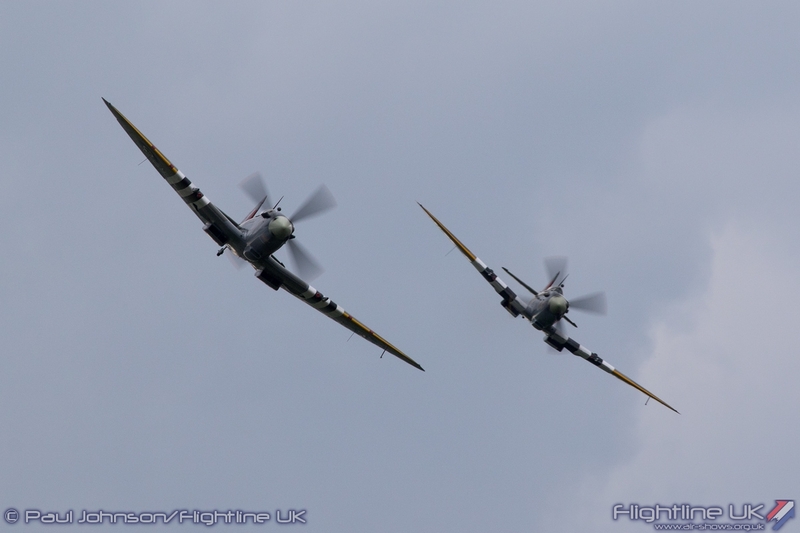 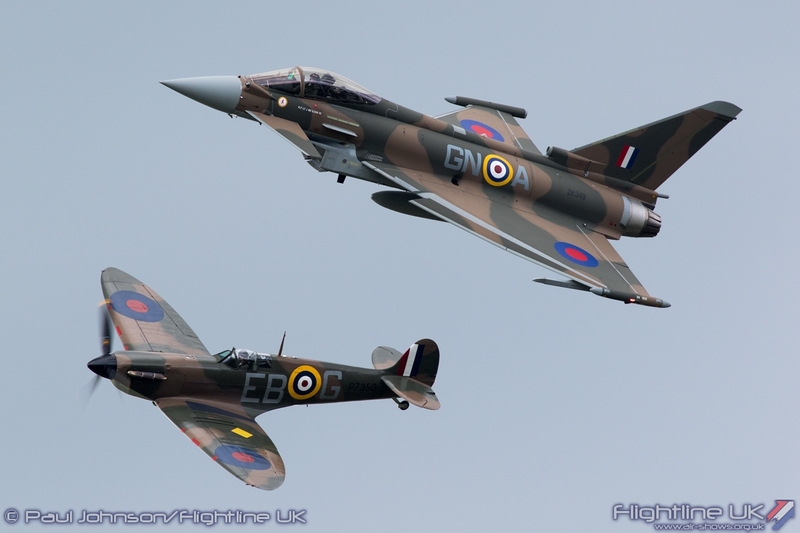 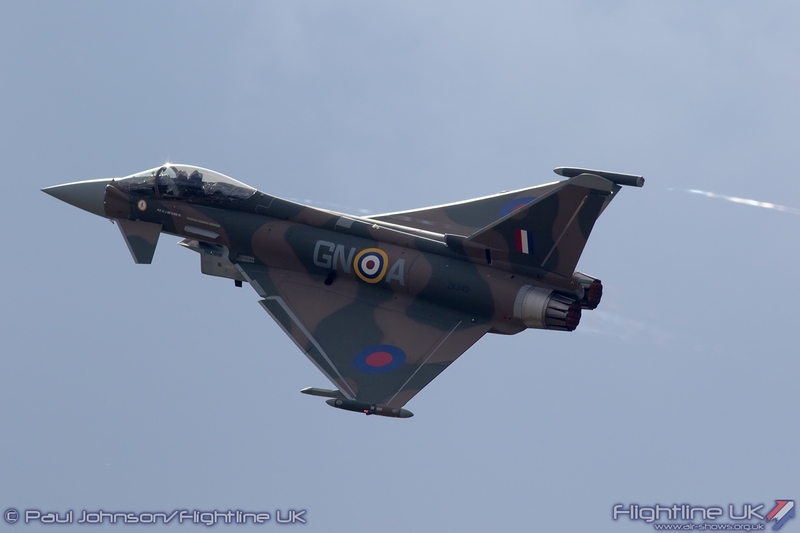 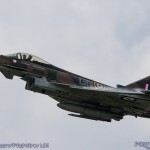 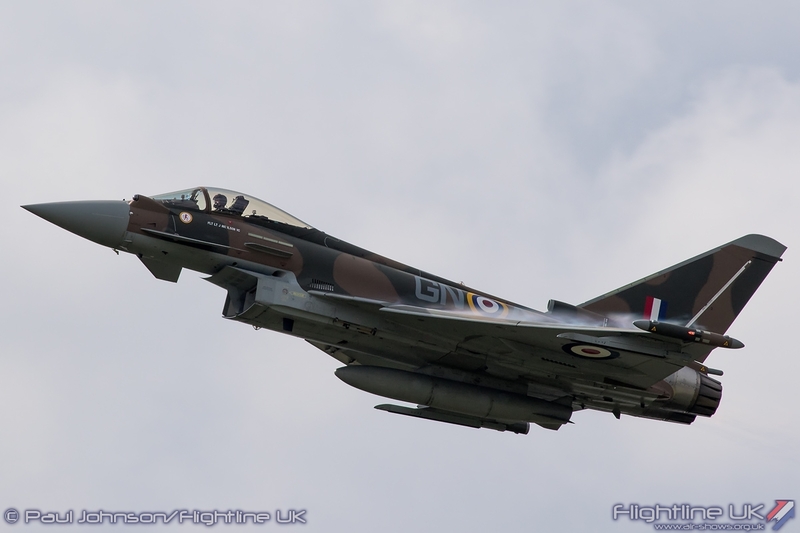 Closing the RAF set-piece was the brilliant Synchro pair of BBMF Spitfire IIc and Eurofighter Typhoon FGR4. 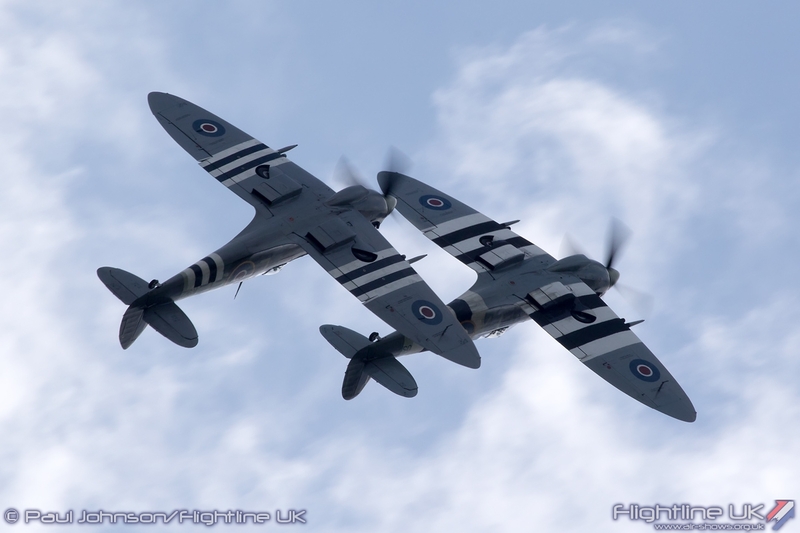 It is a quite amazing piece of flying which sees the two fighters, 75 years apart in terms of technology, perfectly matched in sky. 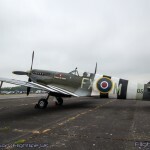 The closing item was a break from tradition for a Biggin Hill. 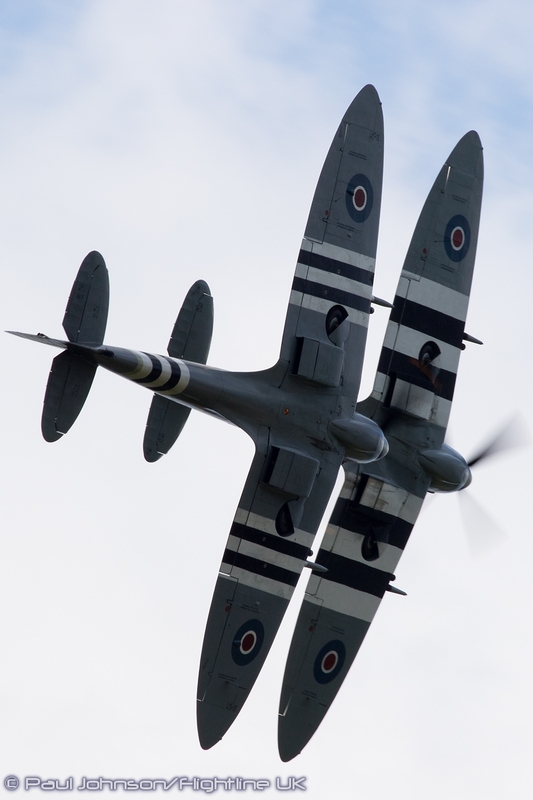 Rather than the traditional solo, Paul Bonhomme and Steve Jones flew a tremendous duo in the two Spitfire IXs from the Heritage Hangar. 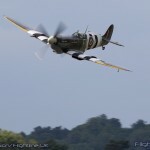 This was truly was a piece of airshow magic. 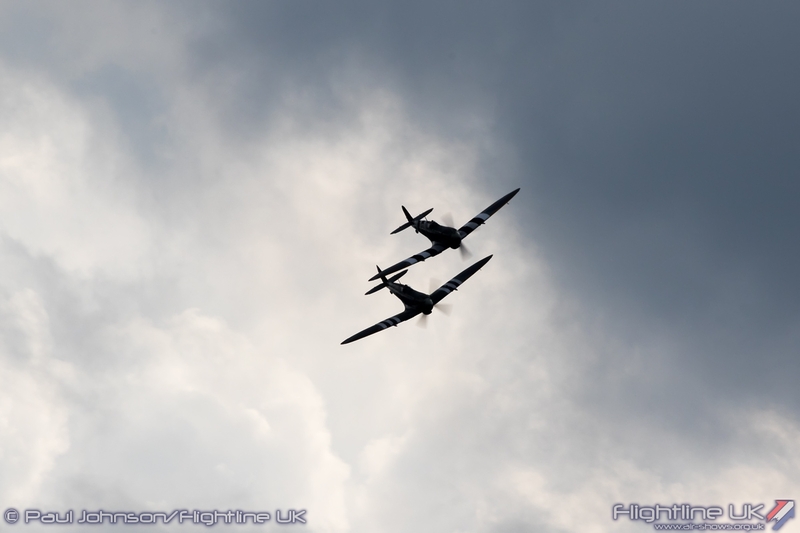 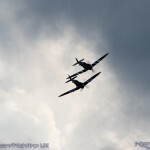 A brilliantly flown routine of close formation flying by two masters of their craft at the most emotive venue of all to see Spitfires flying over. 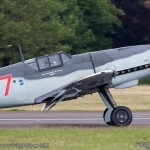 The Air Fair had its Spitfire solo finale but perhaps this should become the ‘new’ traditional closing for the new Festival of Flight? 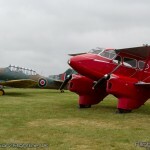 It was a fine way to end a superb day at Biggin Hill despite the best efforts of weather and plain bad luck. 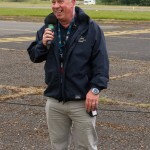 Colin Hitchins and the team at Biggin Hill have clearly worked very hard on improving the Festival of Flight since the inaugural last year. 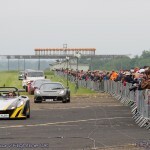 The traffic and car parking were much improved (granted there were still delays getting out but there’s only so much you can do, particularly when people don’t stick to lanes) and we’re sure it will be even better next year. 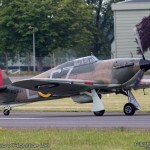 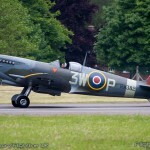 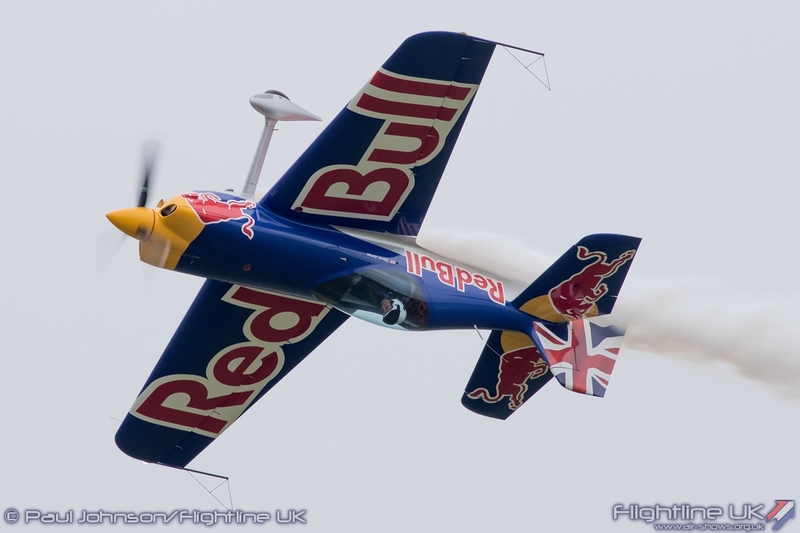 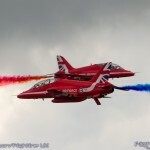 Biggin Hill really is a very special place for an airshow and long may the Festival of Flight continue.